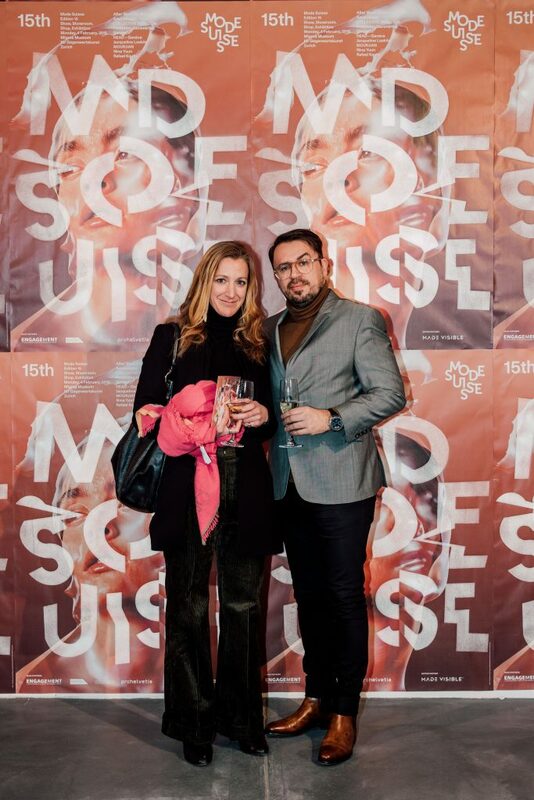 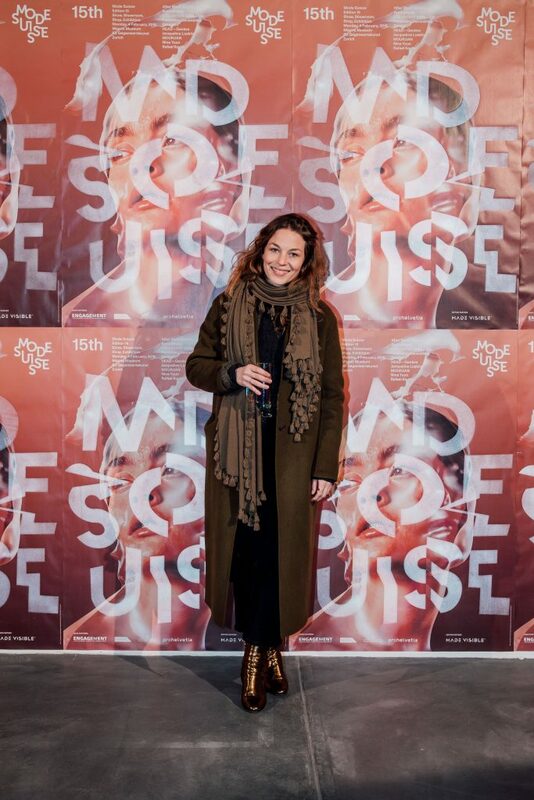 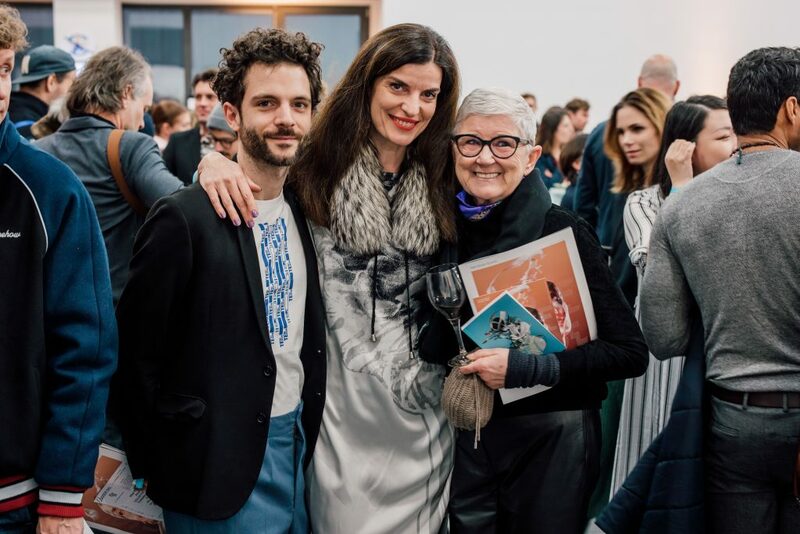 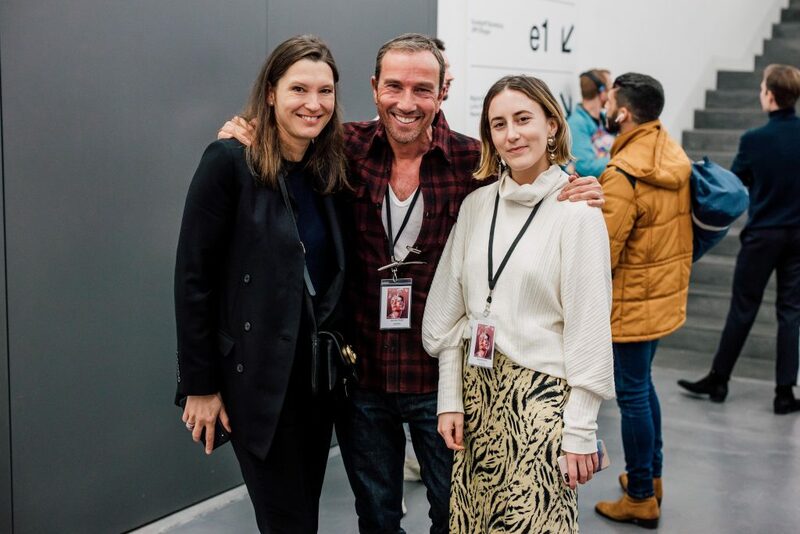 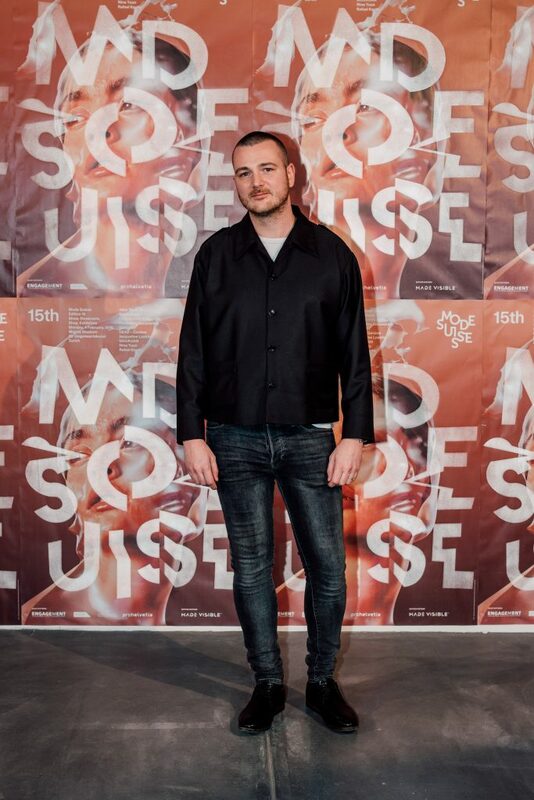 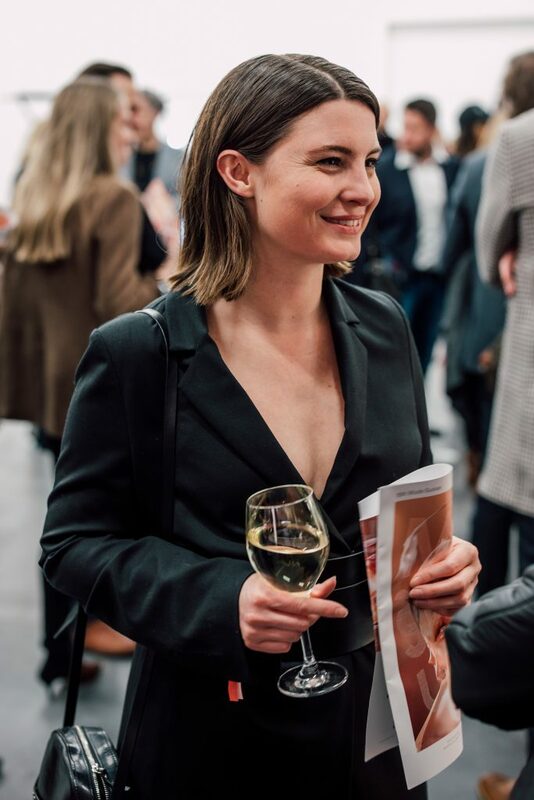 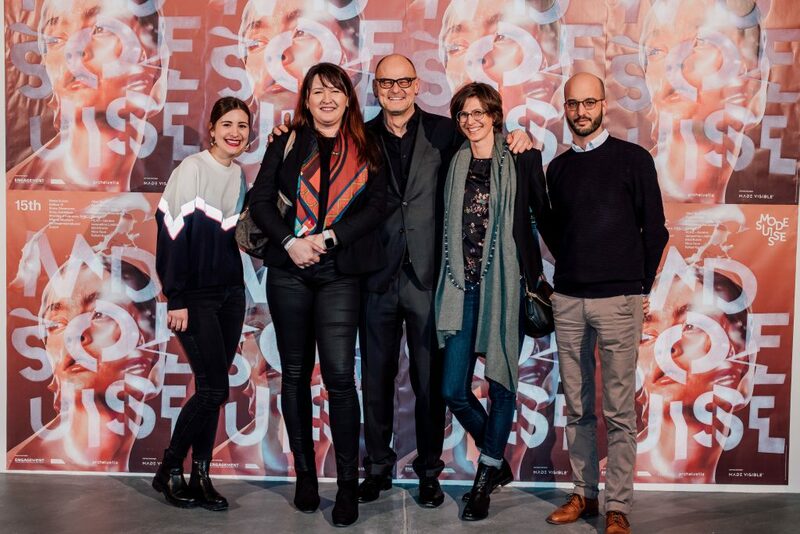 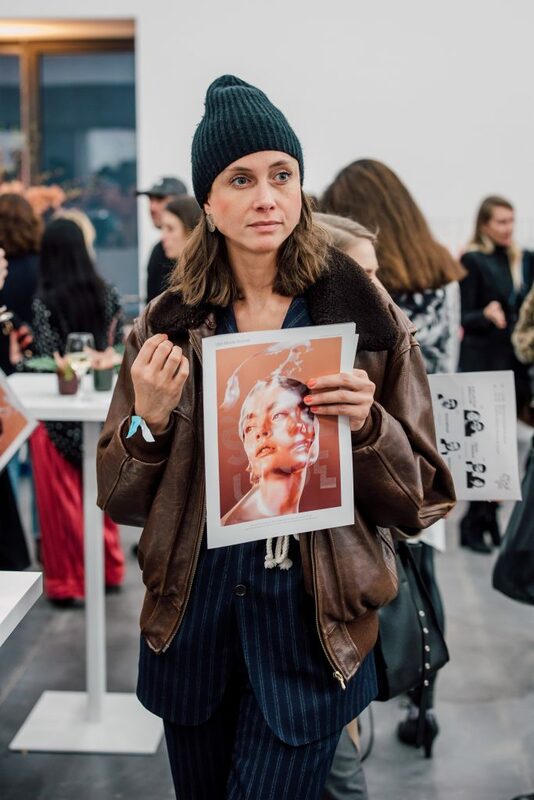 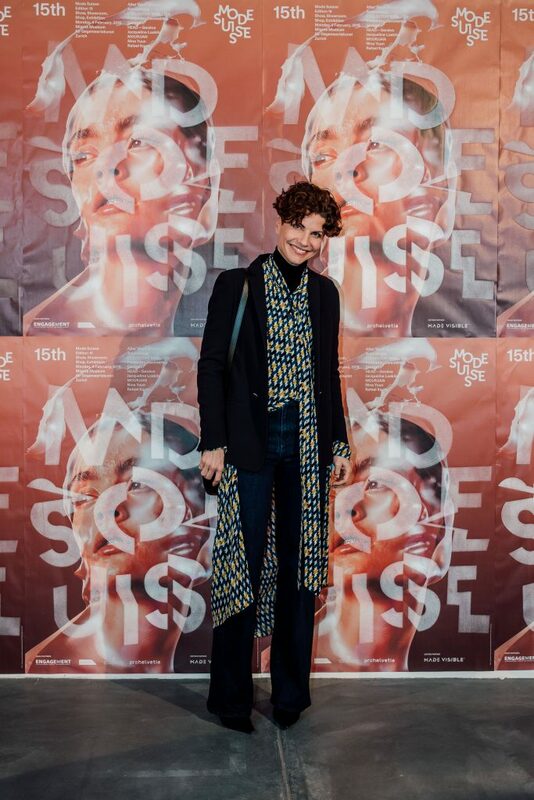 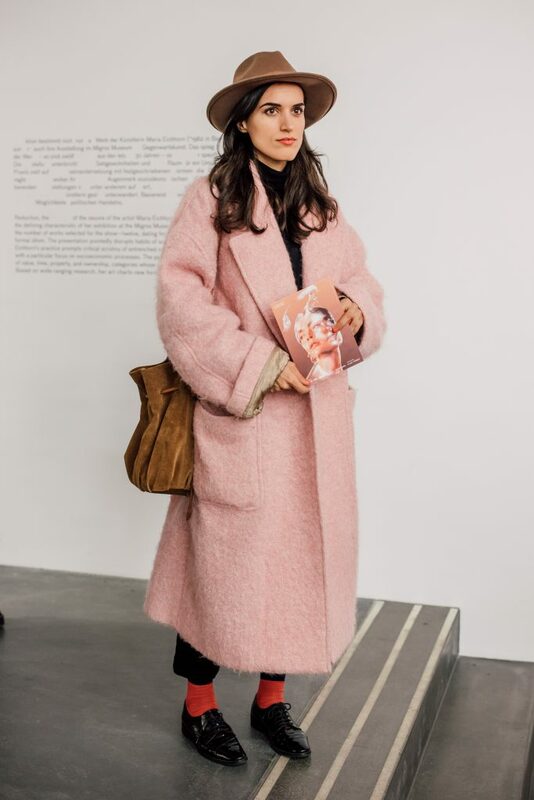 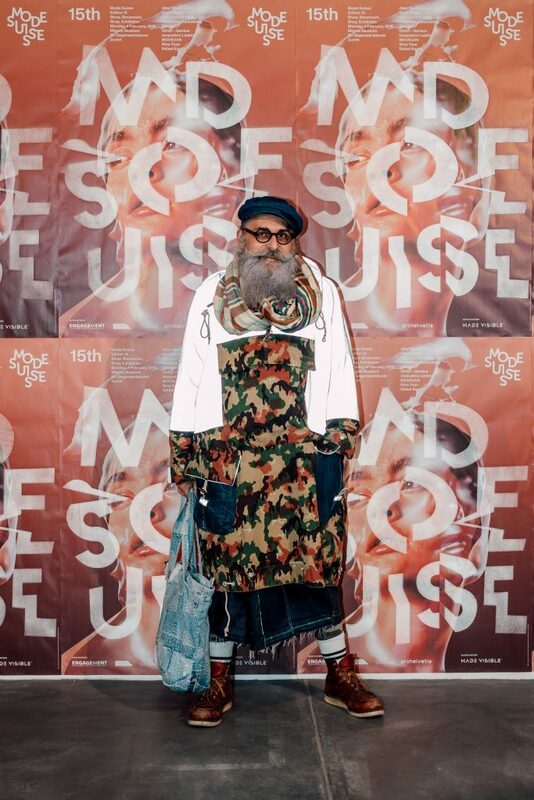 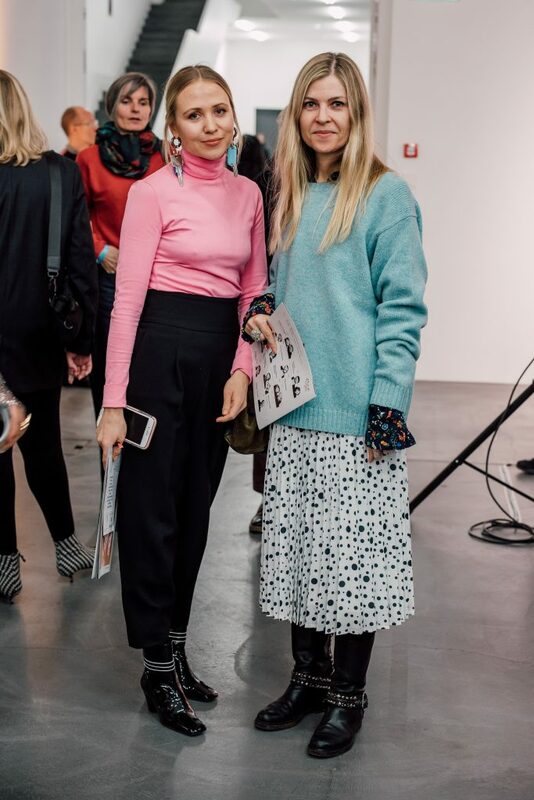 Mode Suisse Edition 15 launched at Migros Museum of Contemporary Art, Zurich on Monday evening 4 February, 2019. 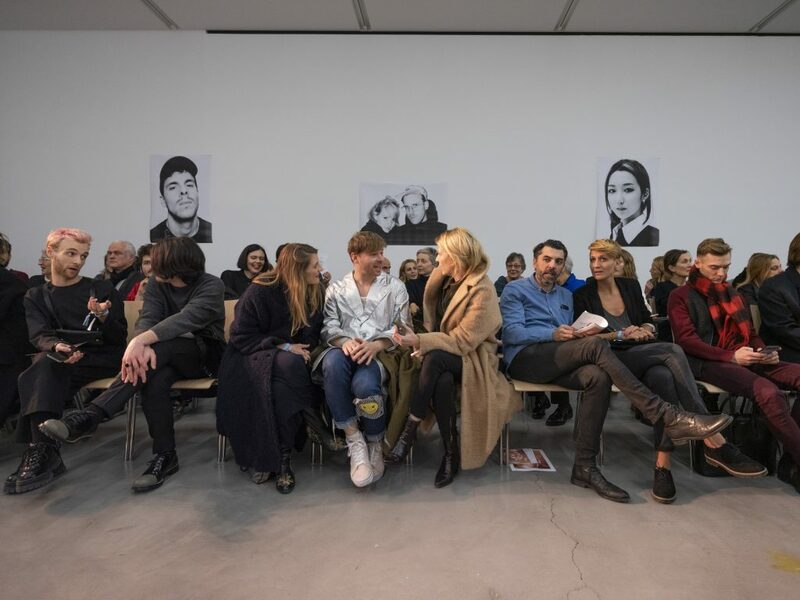 The popular concept of shows, showroom and direct sales also featured the added highlight of a special publication produced in collaboration with ECAL/University of Art and Design Lausanne; with thanks to Mode Suisse’ new edition partner, Made Visible. 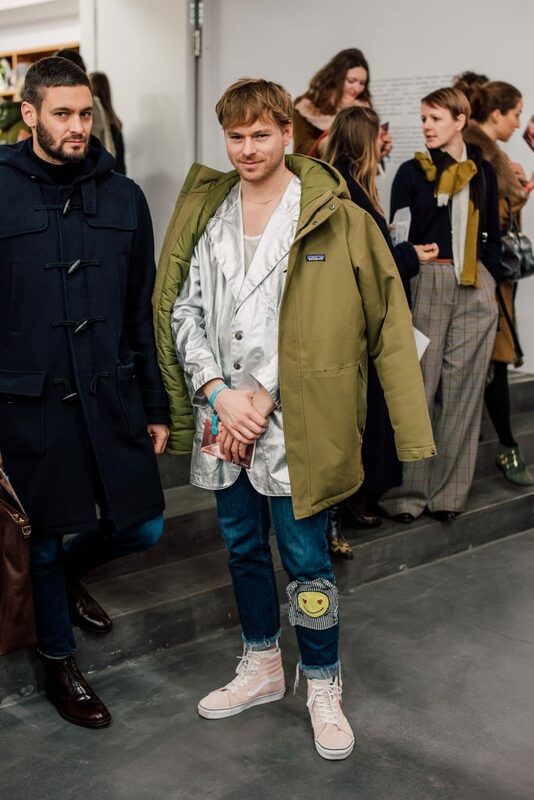 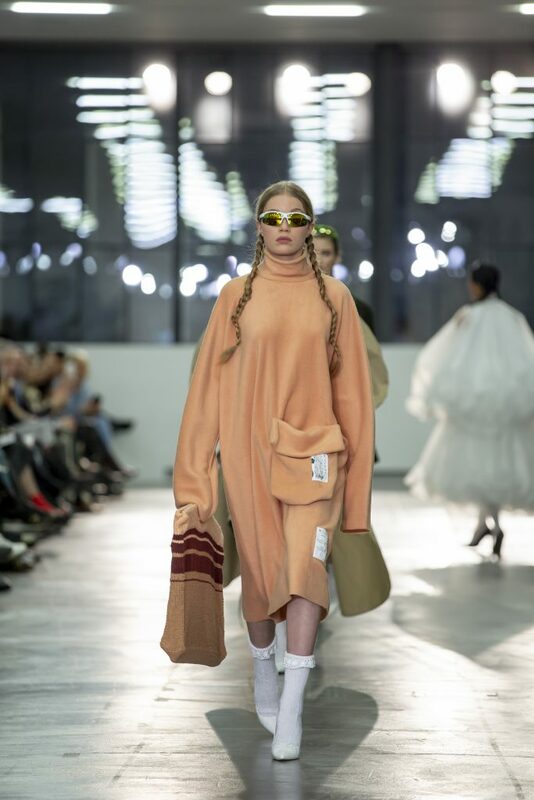 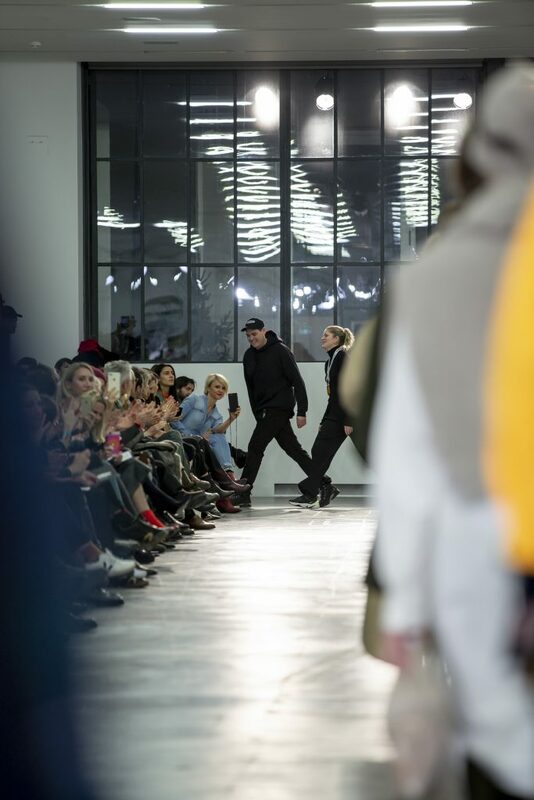 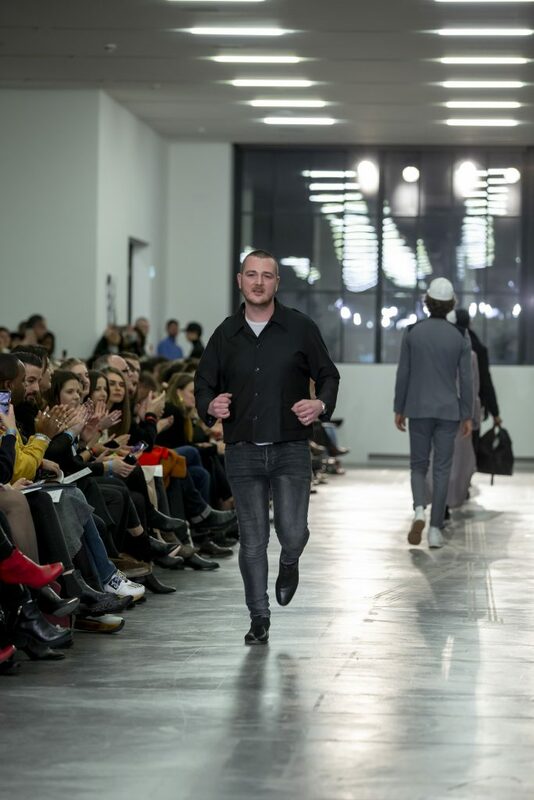 COLLECTIVE SWALLOW (Basel, Berlin) kicked off the show sending their signature gastronomic-themed übercool streetwear down the runway. 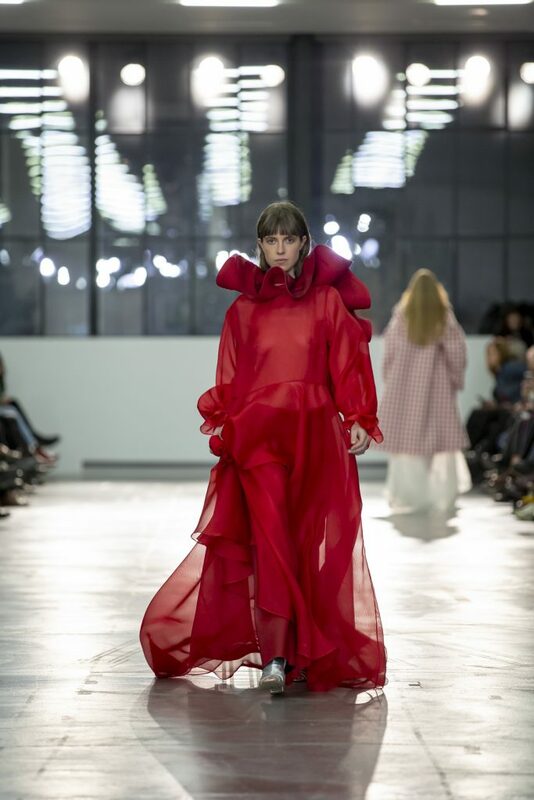 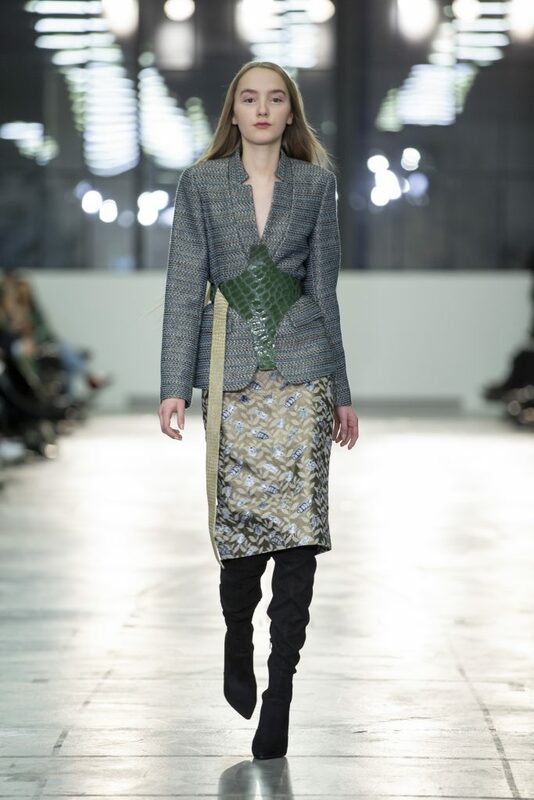 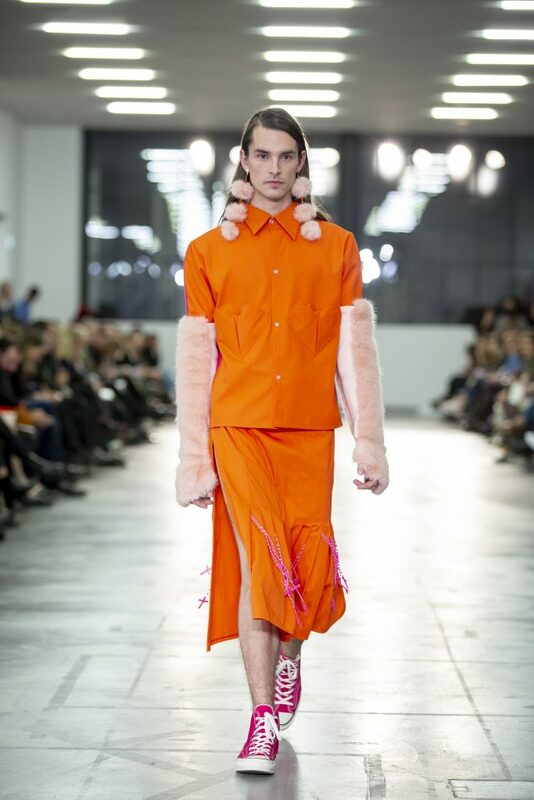 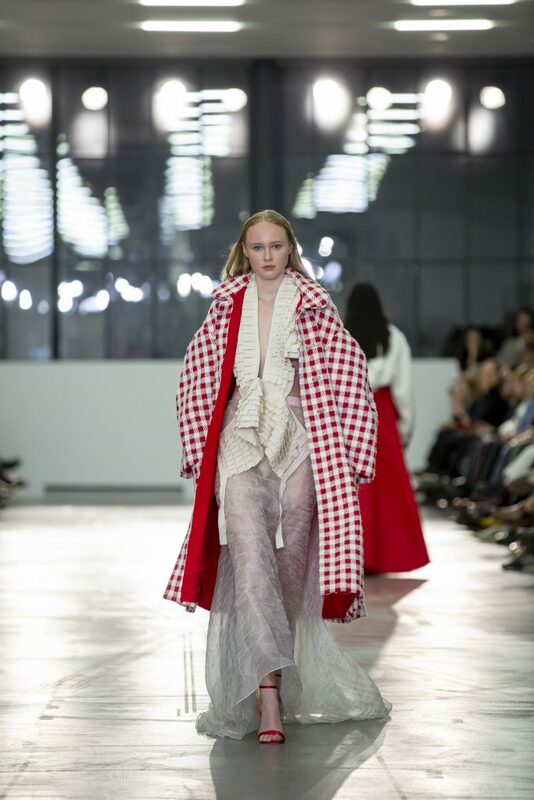 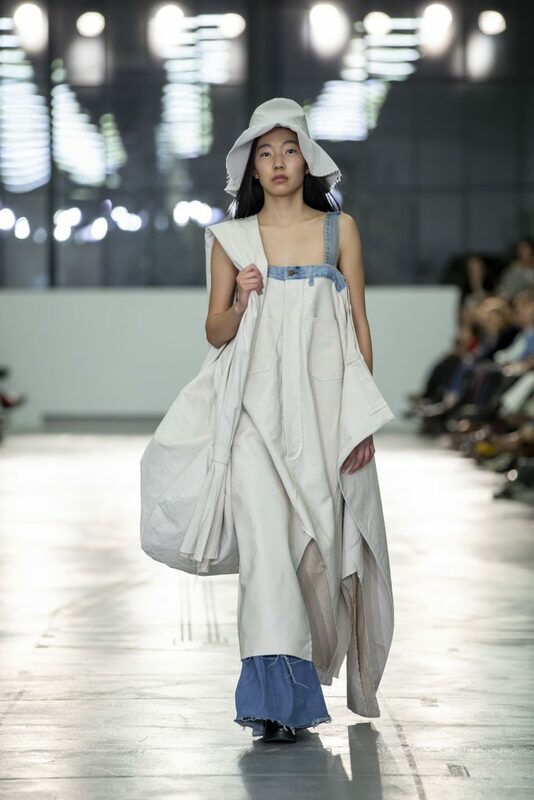 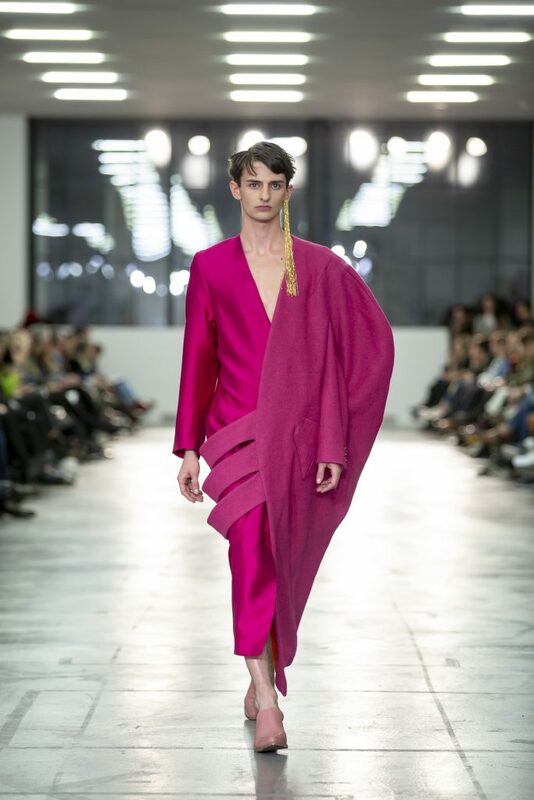 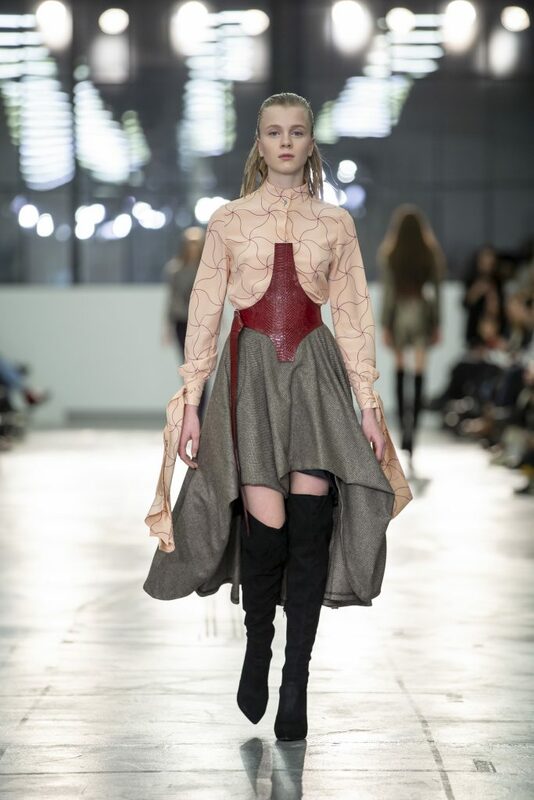 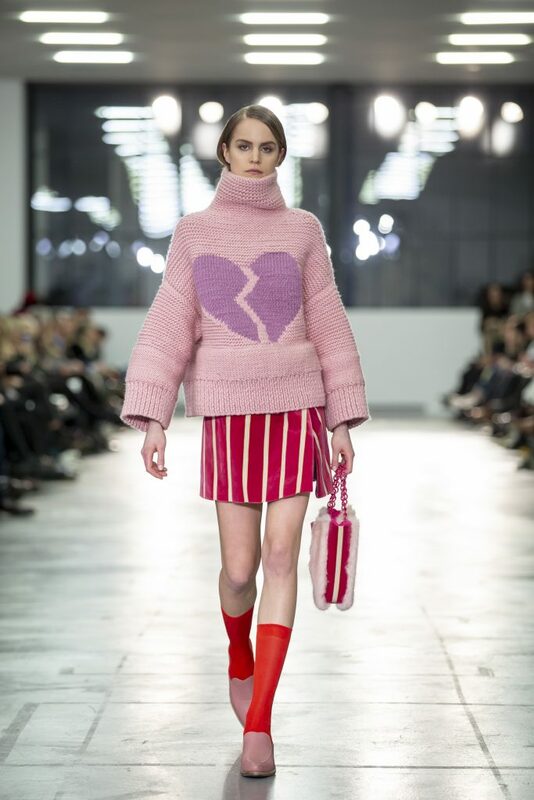 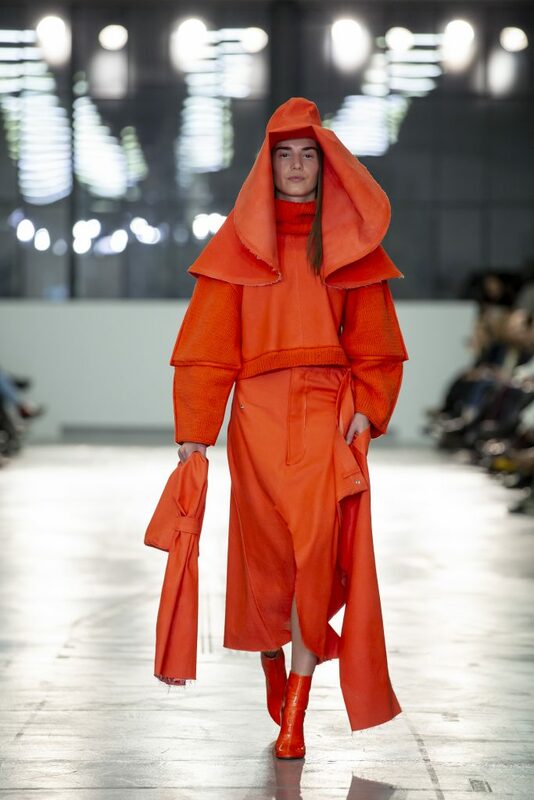 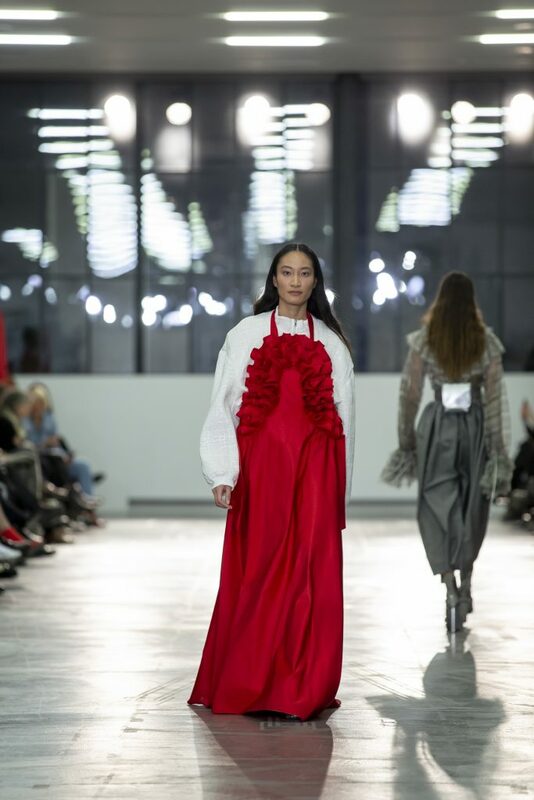 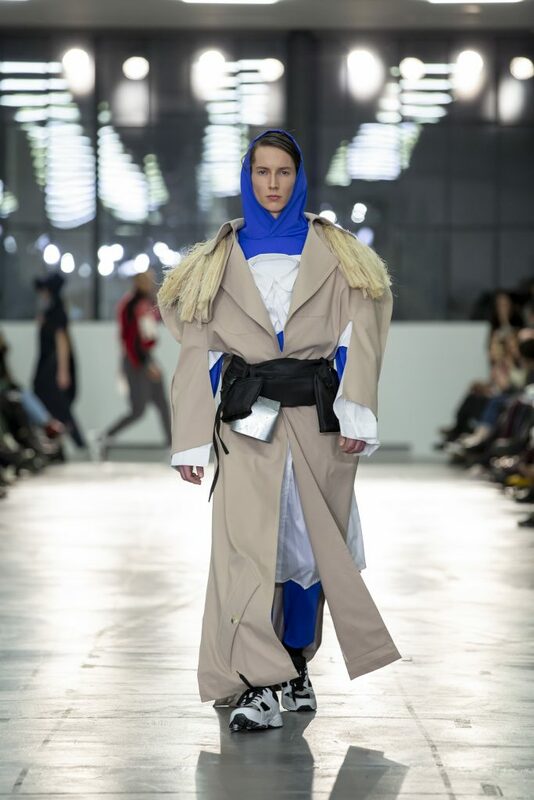 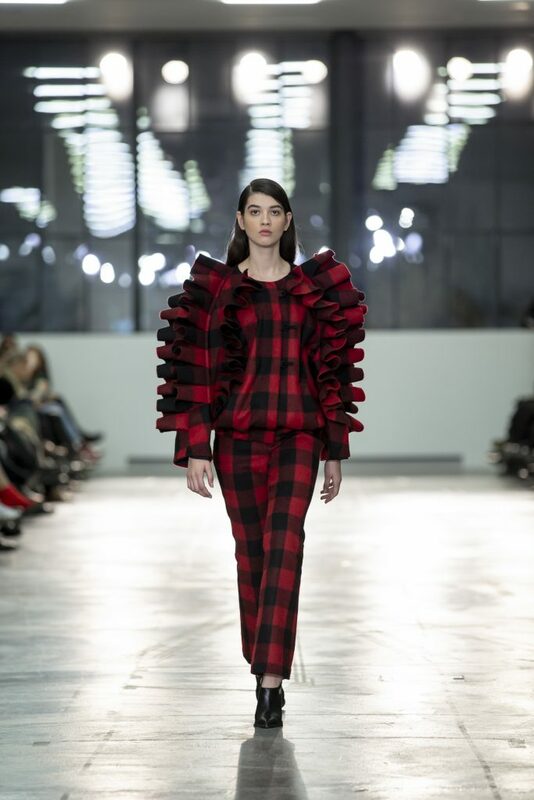 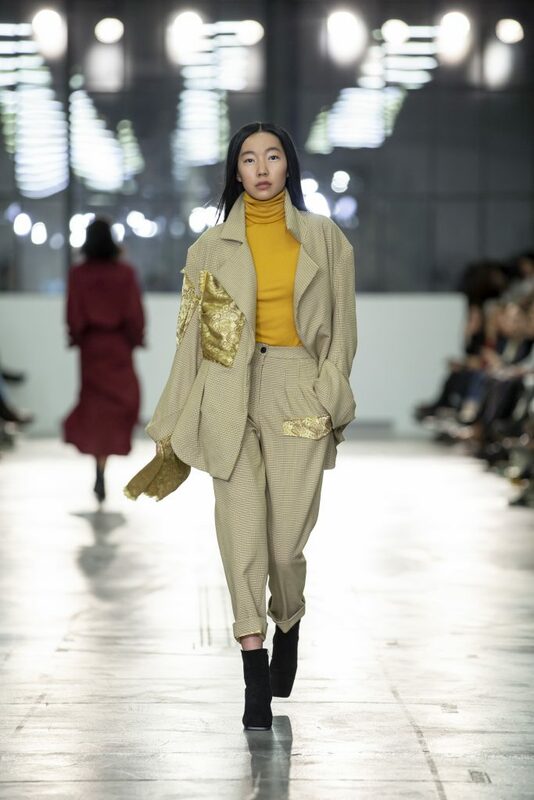 Designers Anaïs Marti and Ugo Pecoraio’s collection was influenced by the specific meat-based dishes prepared from the Swiss tradition of ‘Metzgete’. 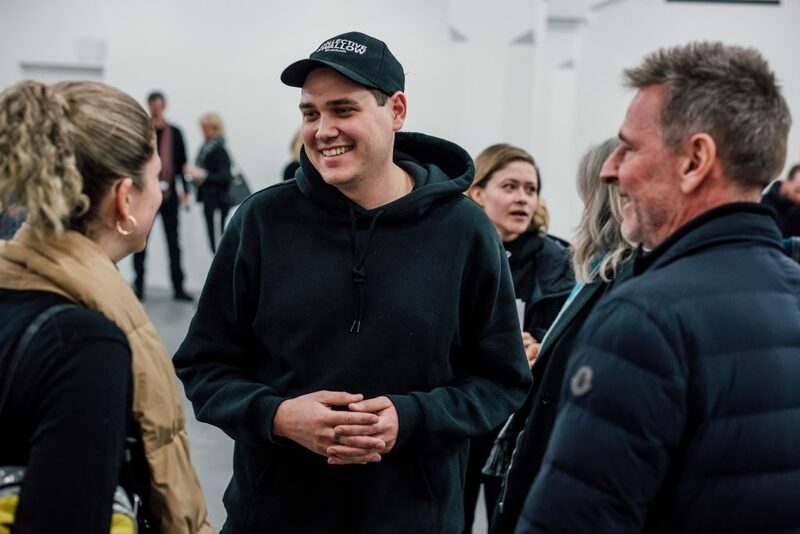 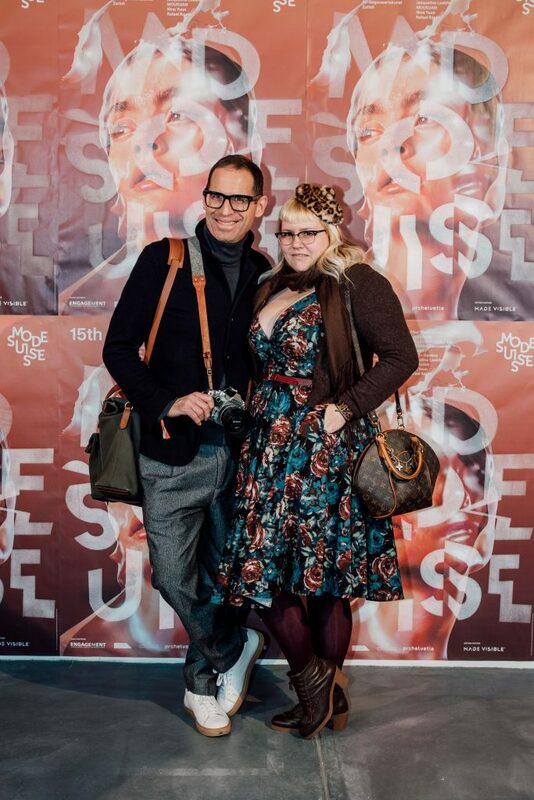 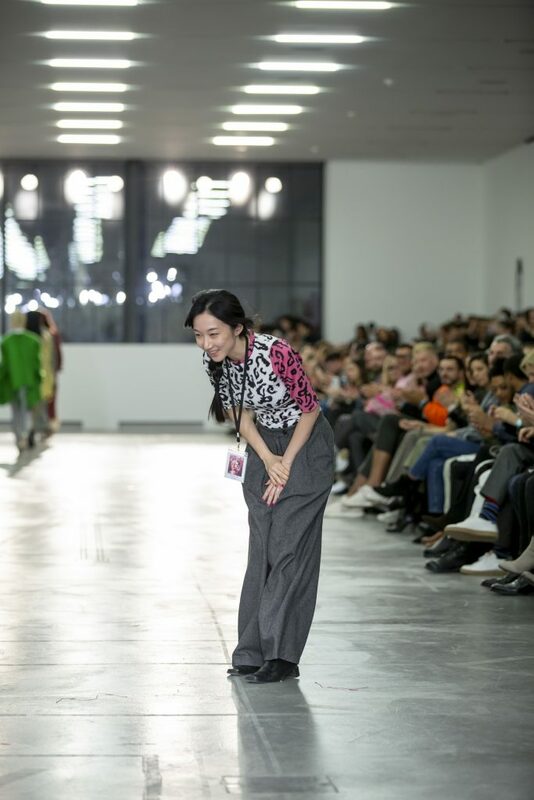 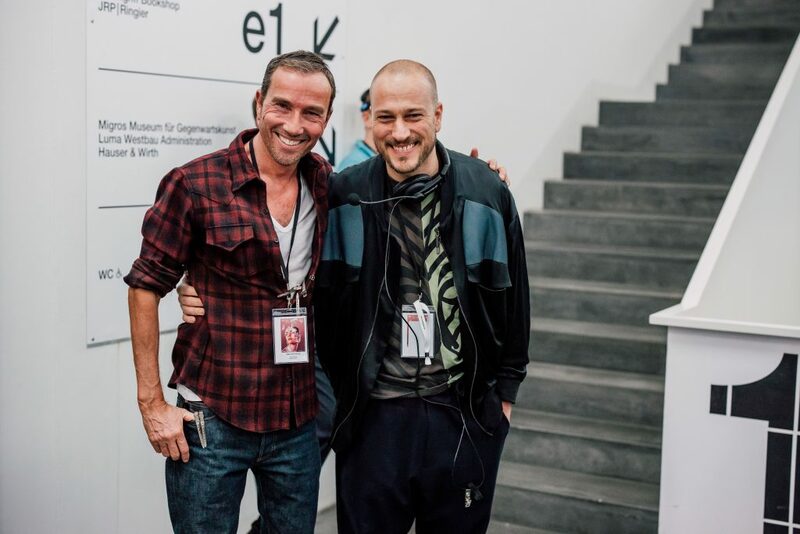 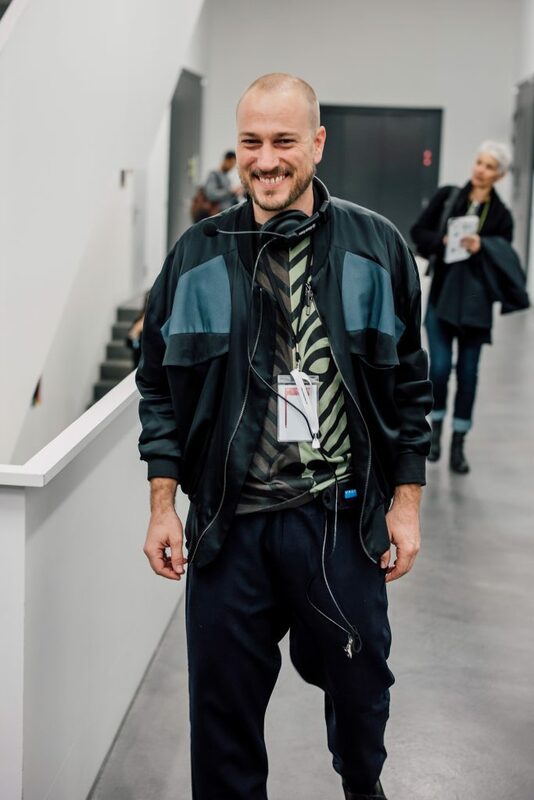 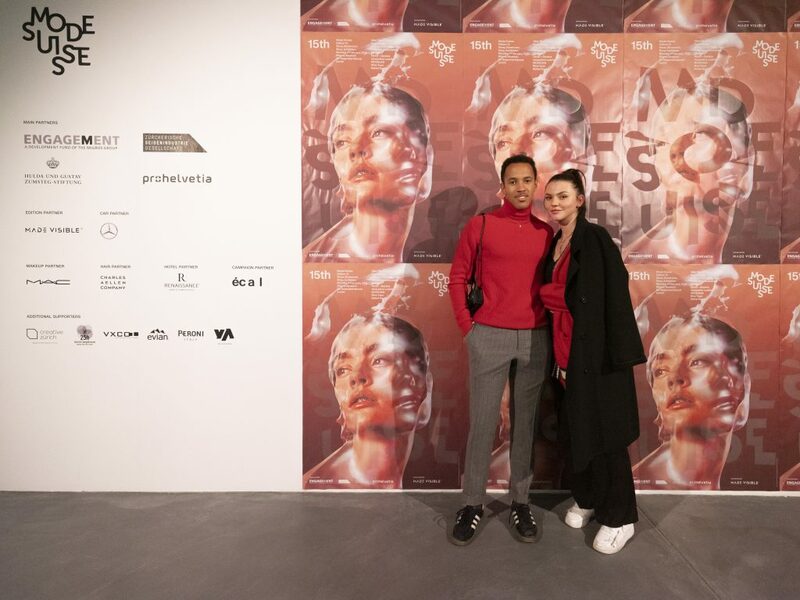 HEAD – Genève featured two of their strongest alumni: Quynh Bui (Winner of the Master Mercedes-Benz Prize 2018) and Bryan Colò. 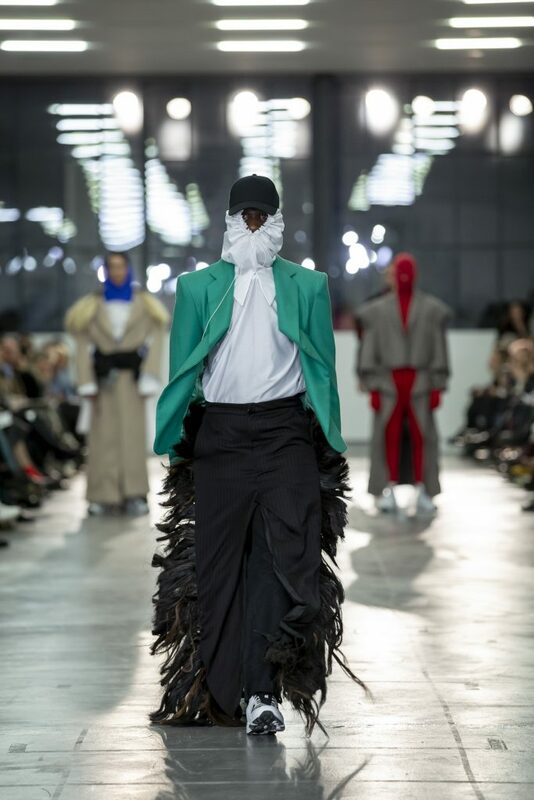 Giancarlo Bello’s collection for his label Amorphose (Lugano) centred on the exquisitely handcrafted sculptural showpieces that define his work; Garnison (Porrentruy) contrasted his classic tailoring expertise with modern streetwear elements; and Nina Yuun (Basel, Seoul) presented a refinded contemporary collection firmly reinforcing the talent that propelled her initial success. 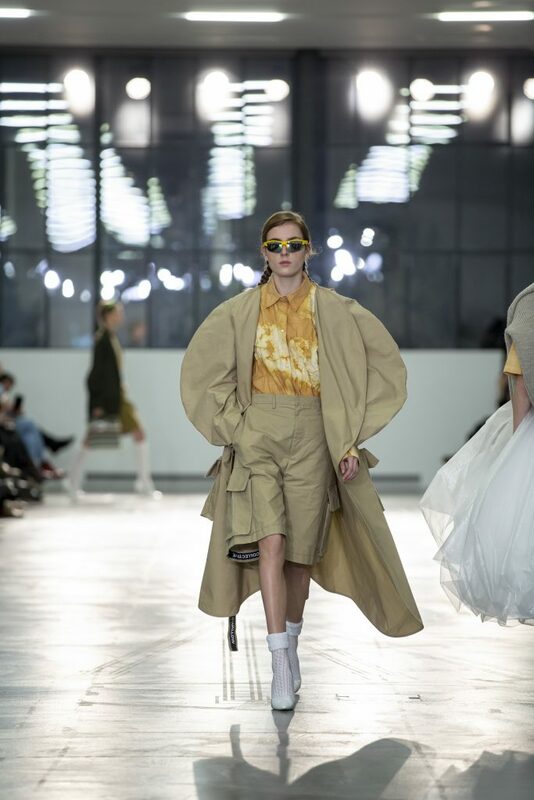 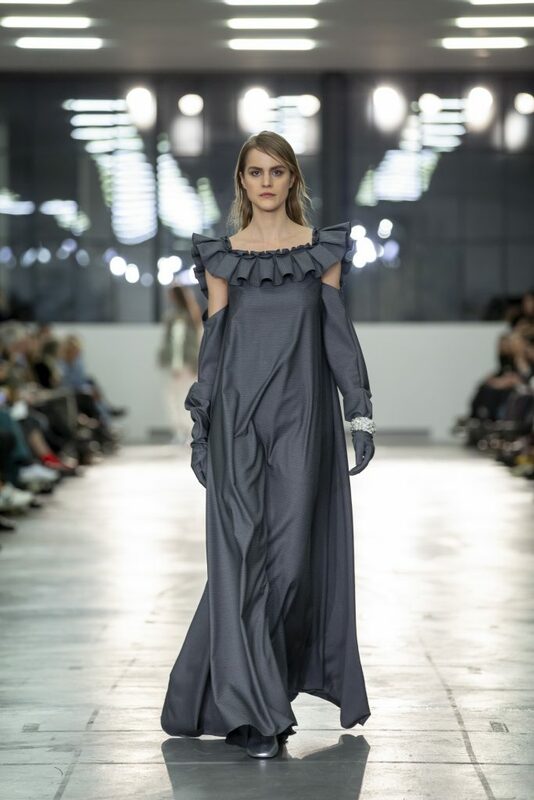 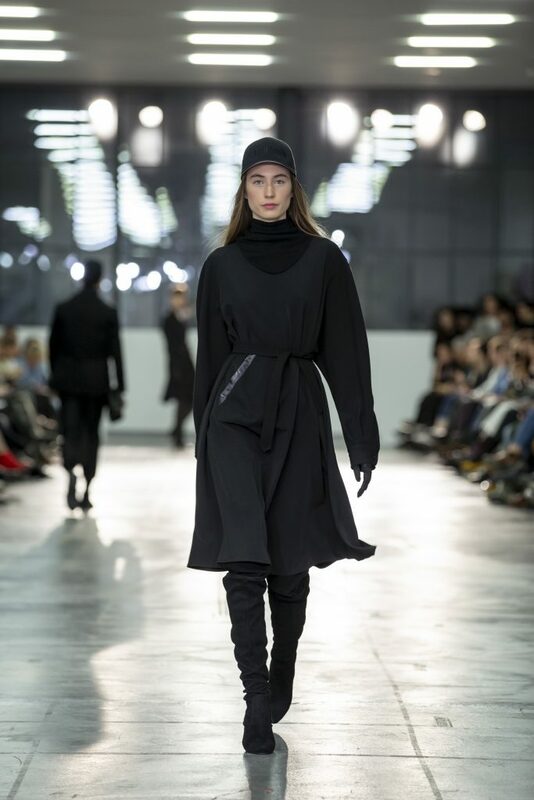 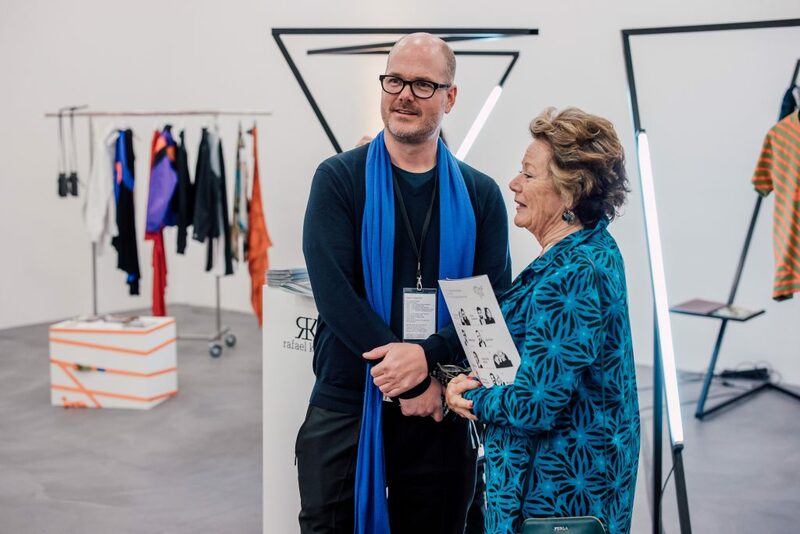 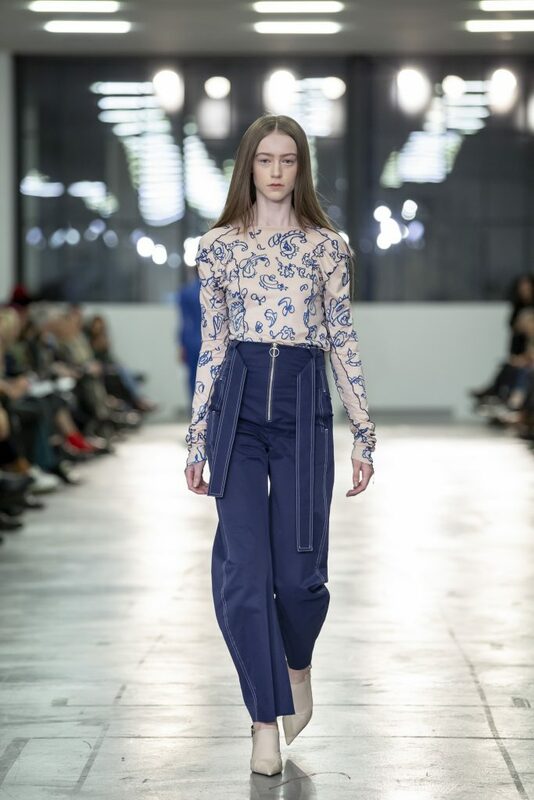 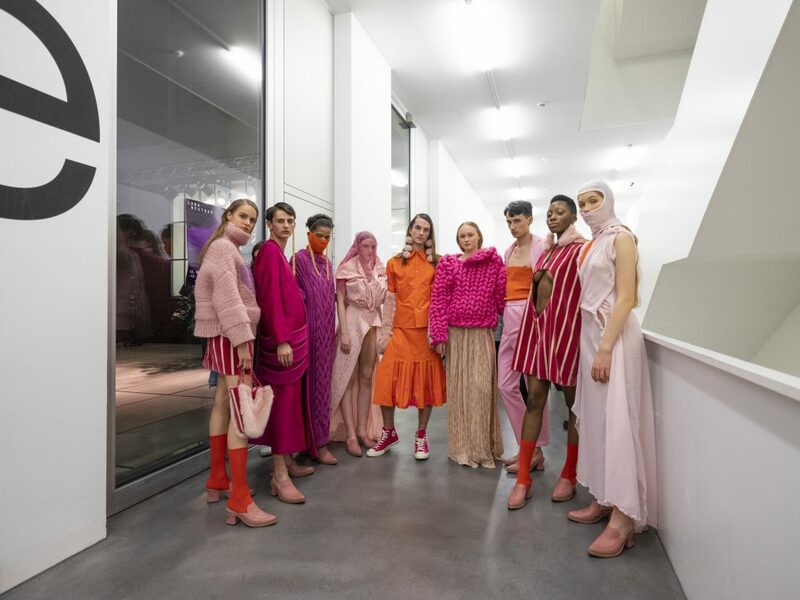 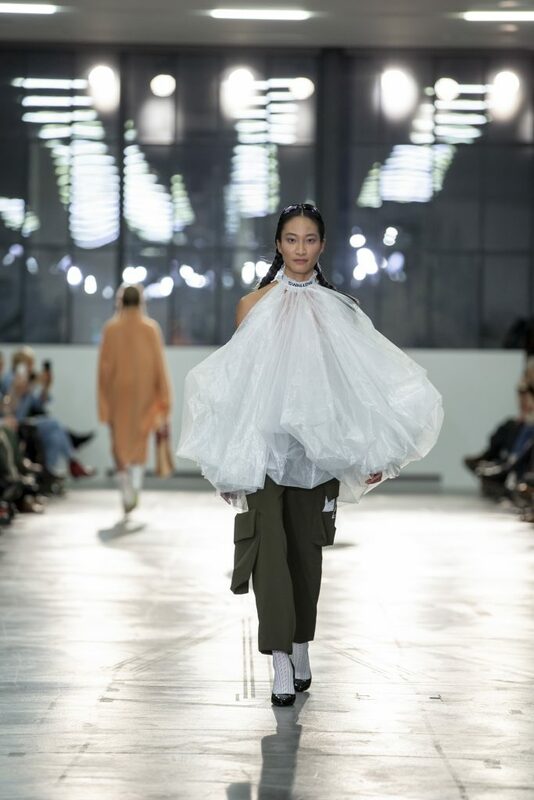 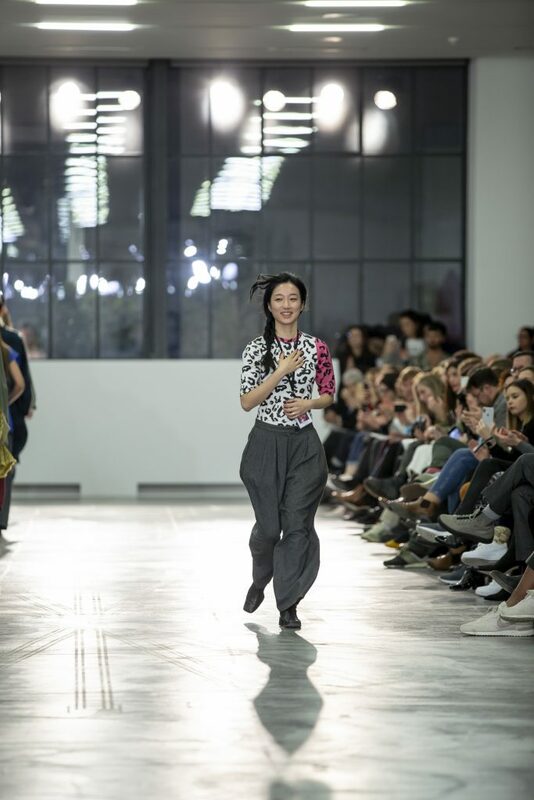 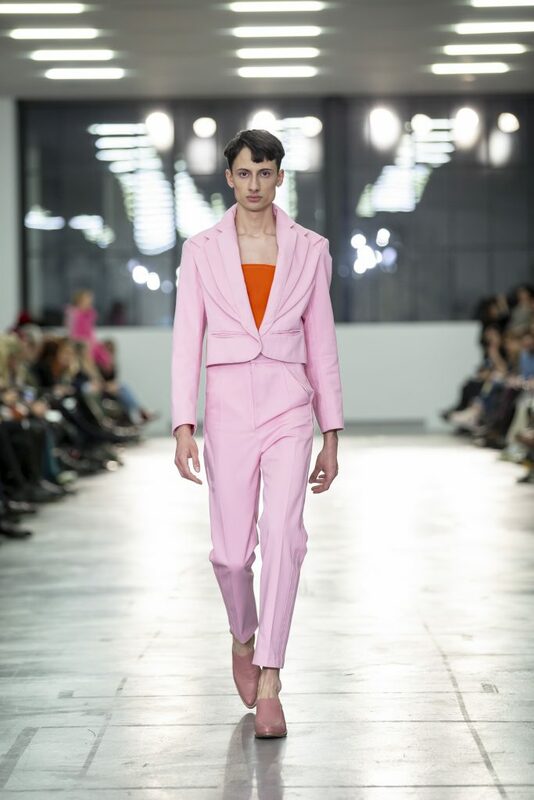 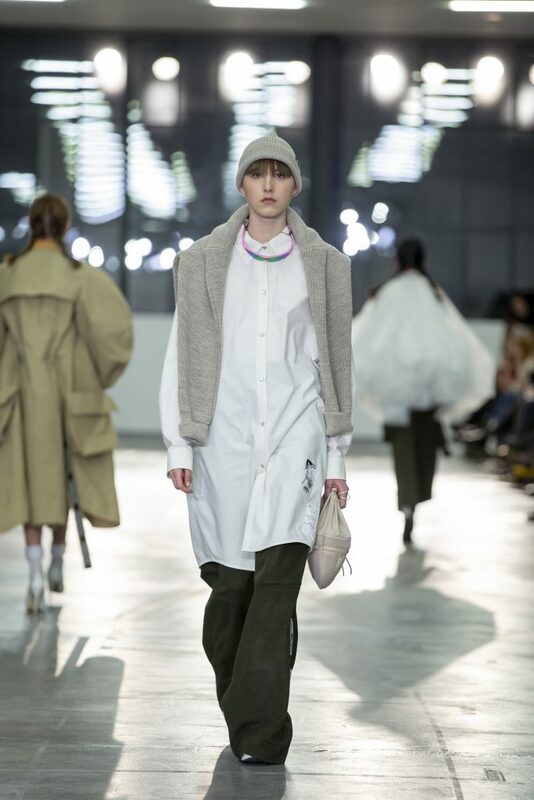 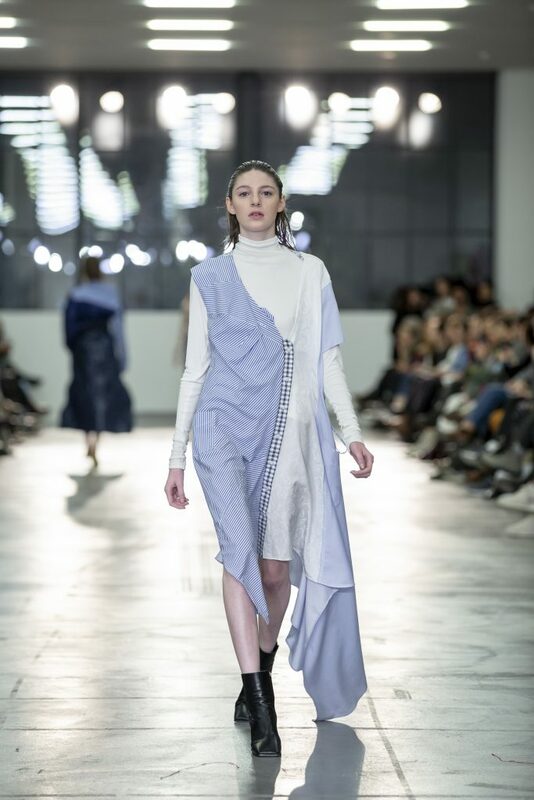 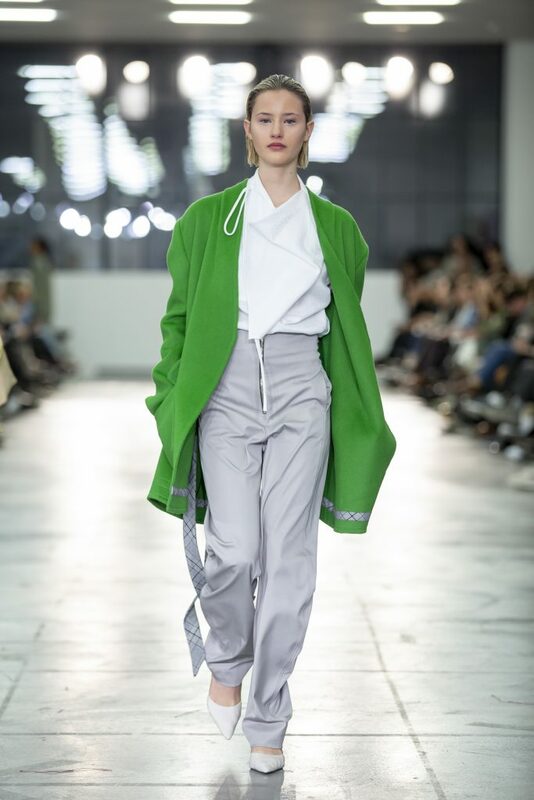 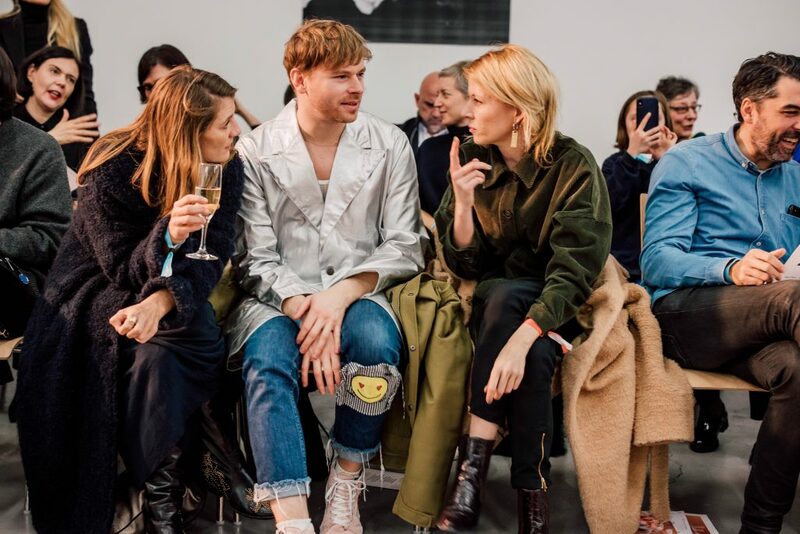 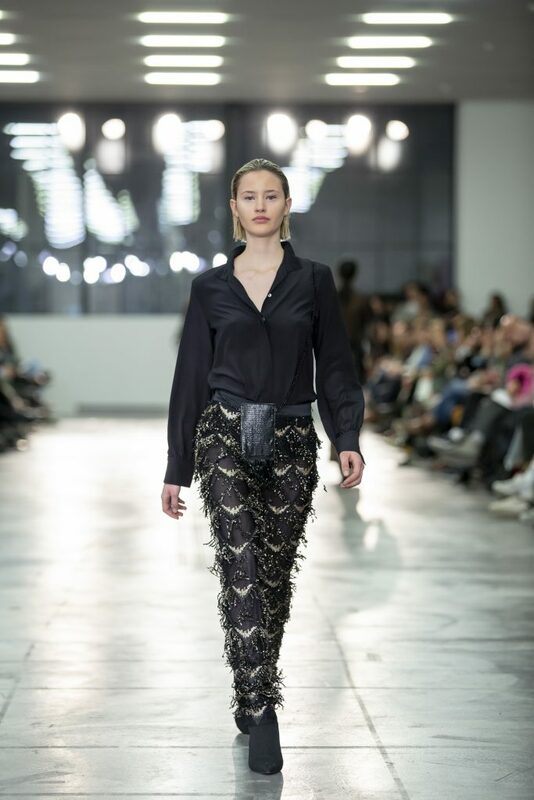 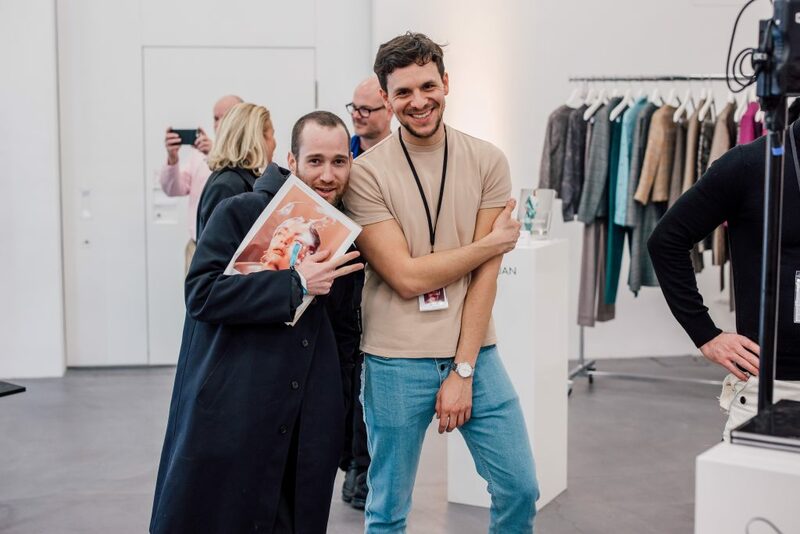 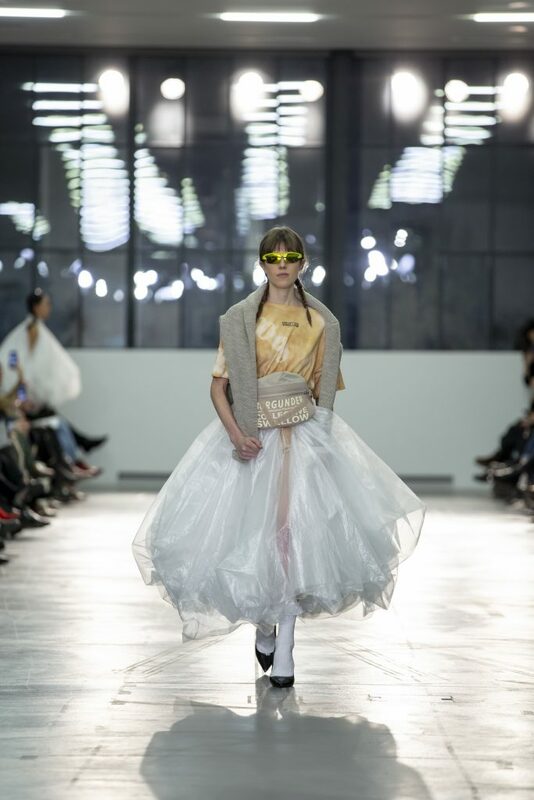 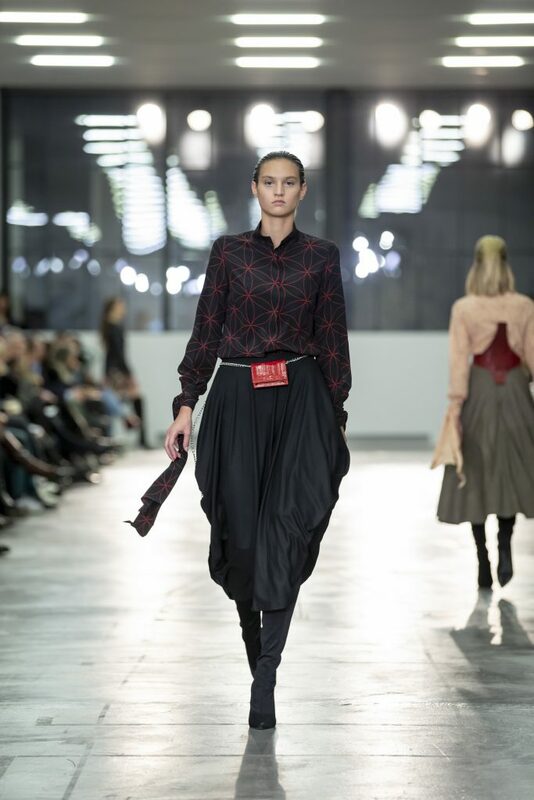 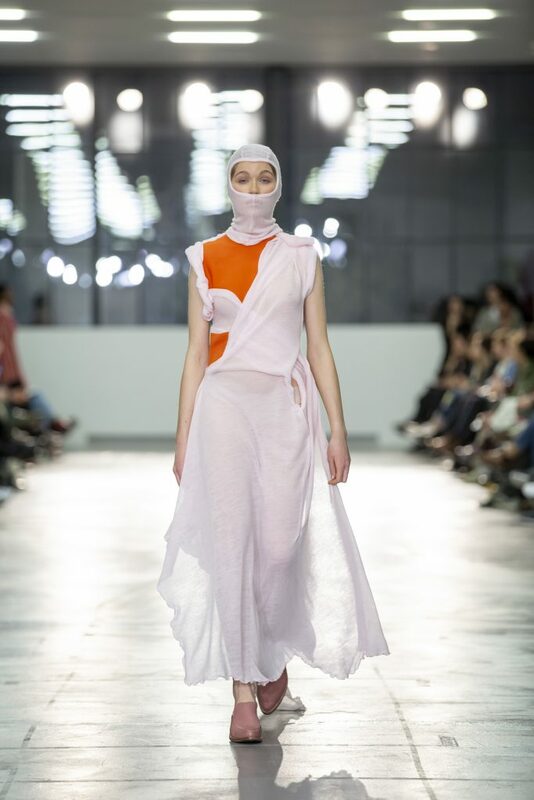 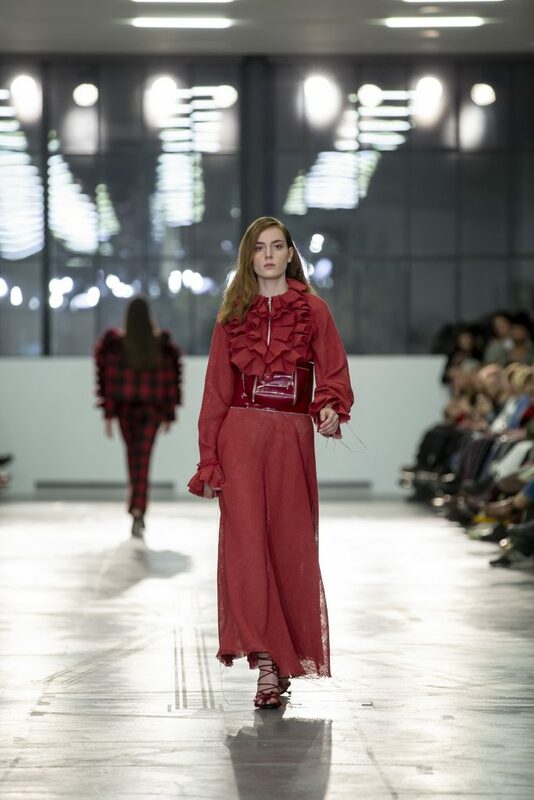 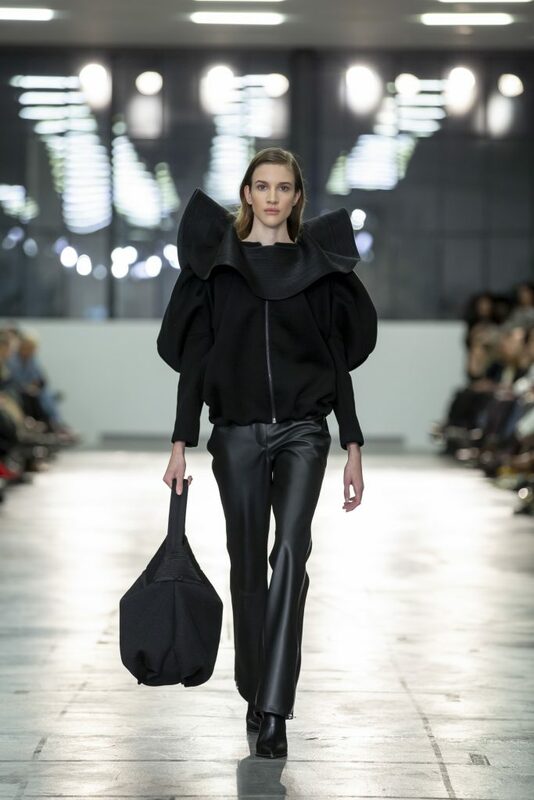 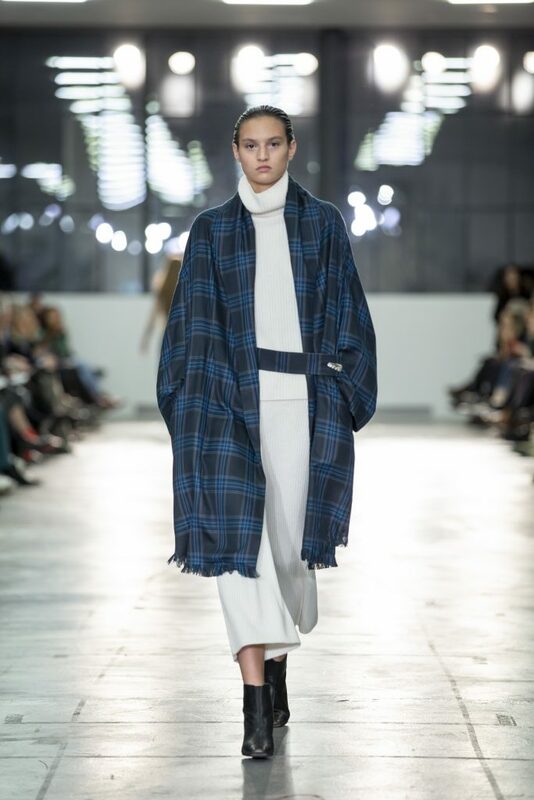 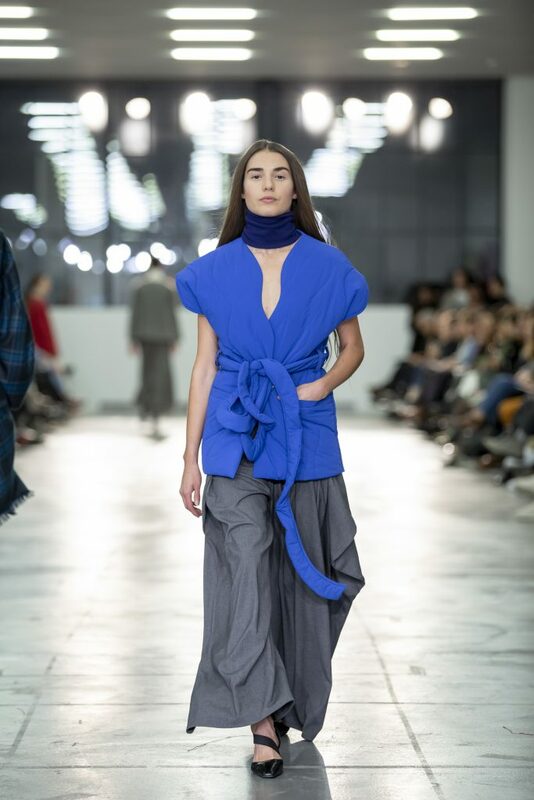 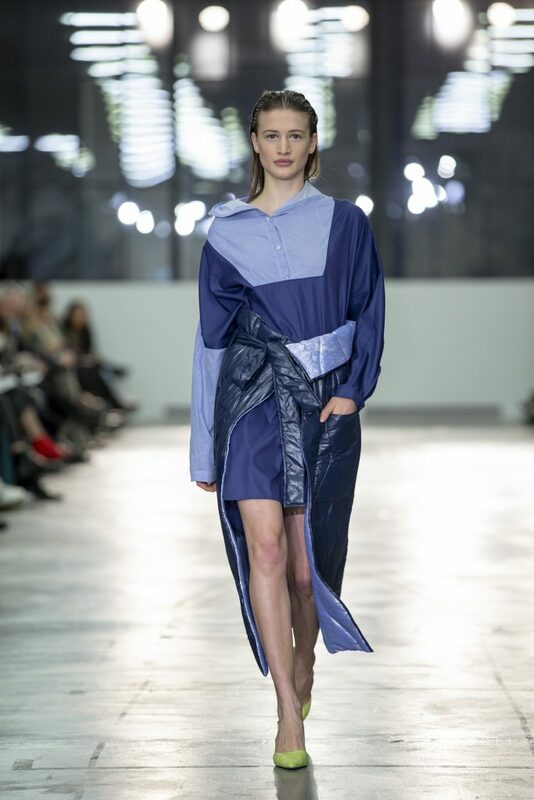 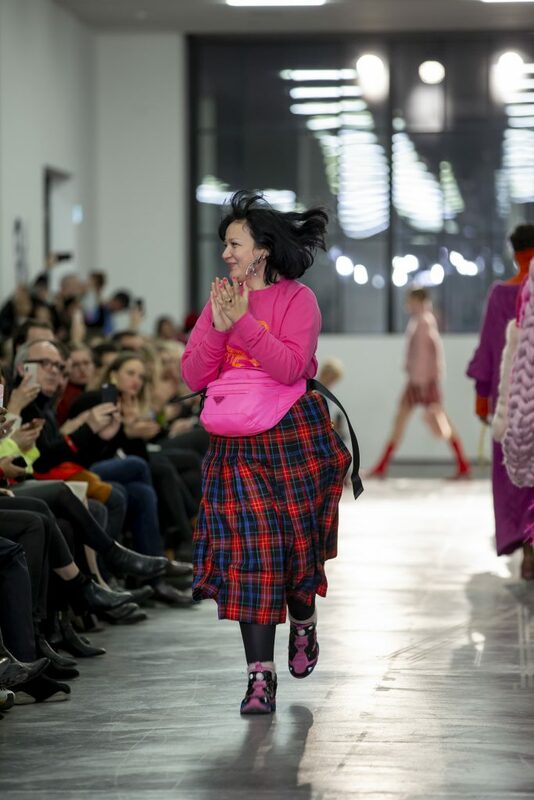 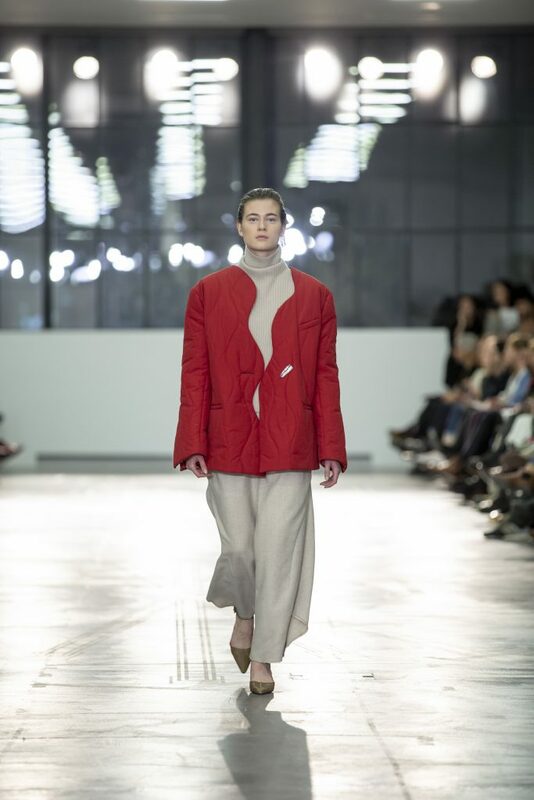 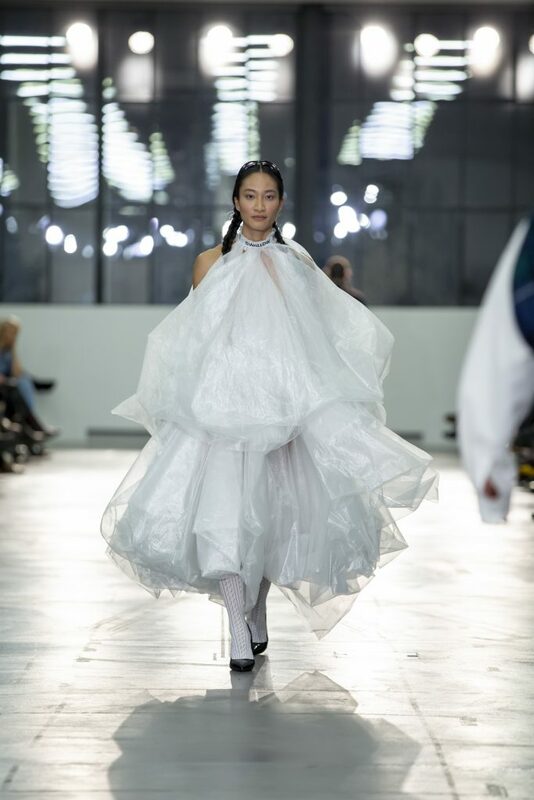 Karin Wüthrich and Matthias Fürst, the duo behind After Work Studio (Basel) wowed the audience with their vision of the modern woman, staying true to their aesthetic of combining a sporty approach with feminine elegance. 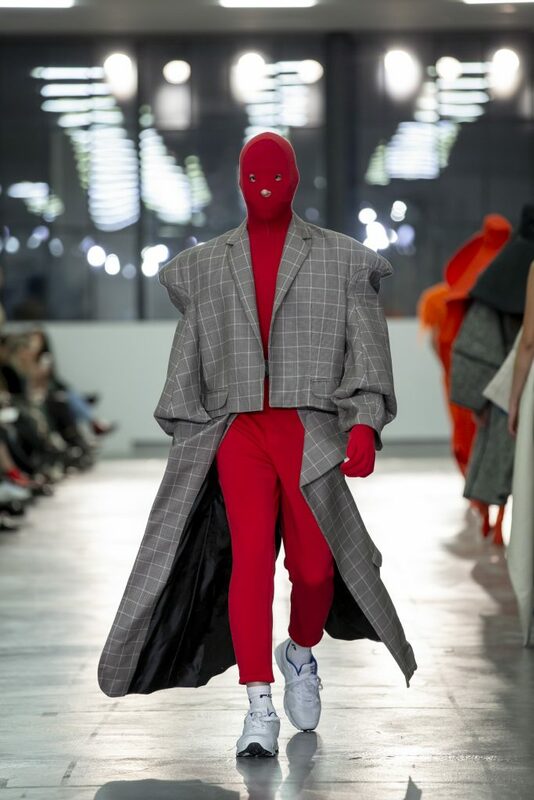 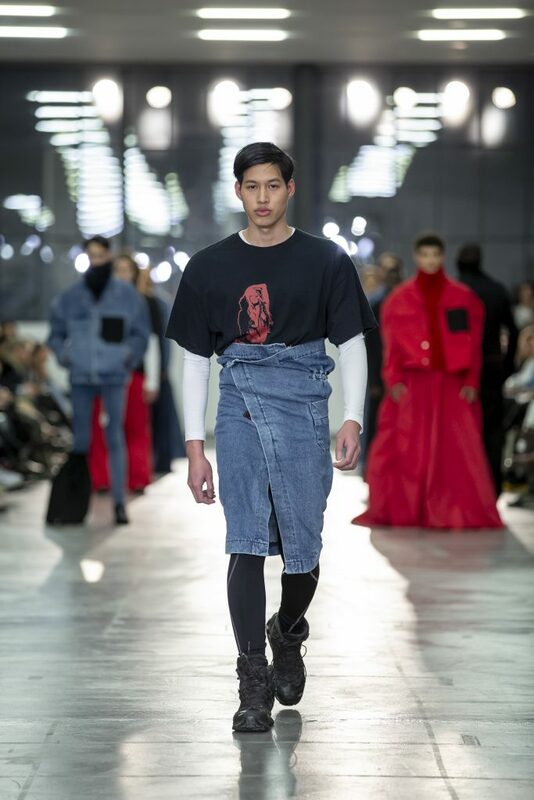 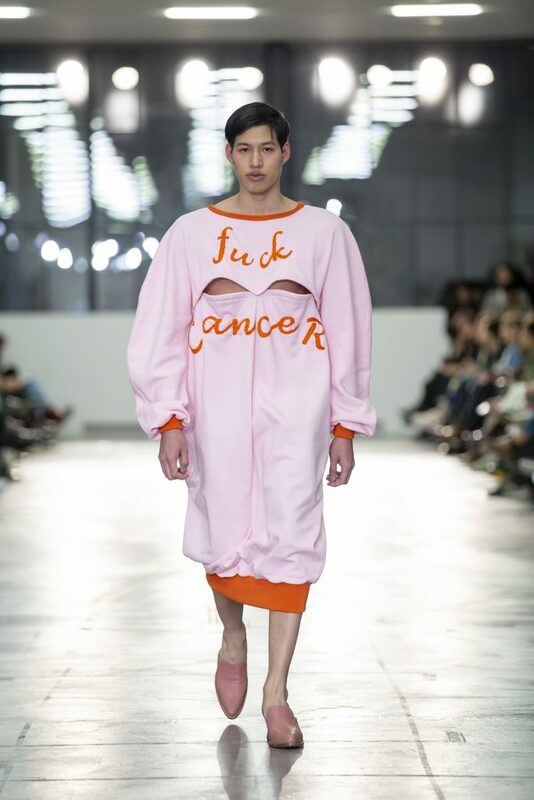 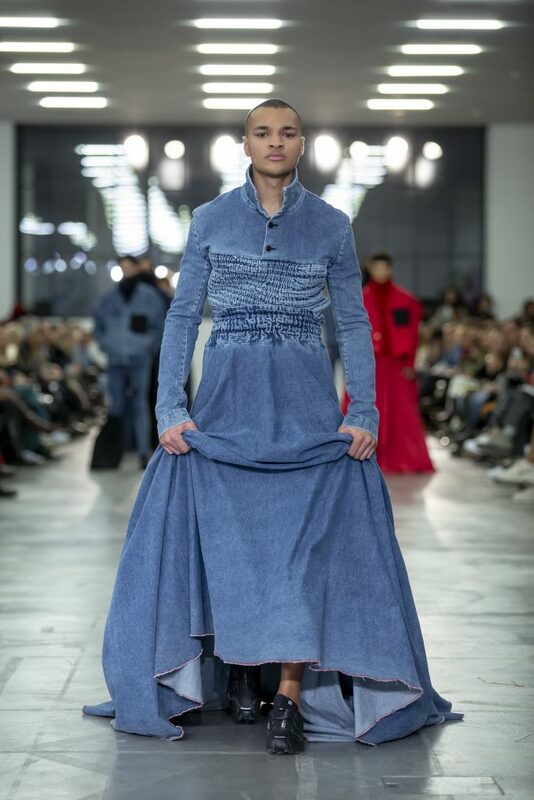 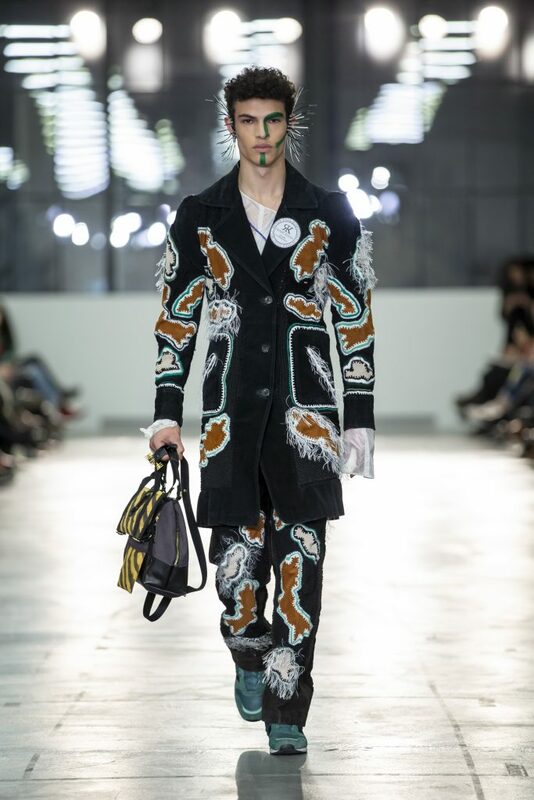 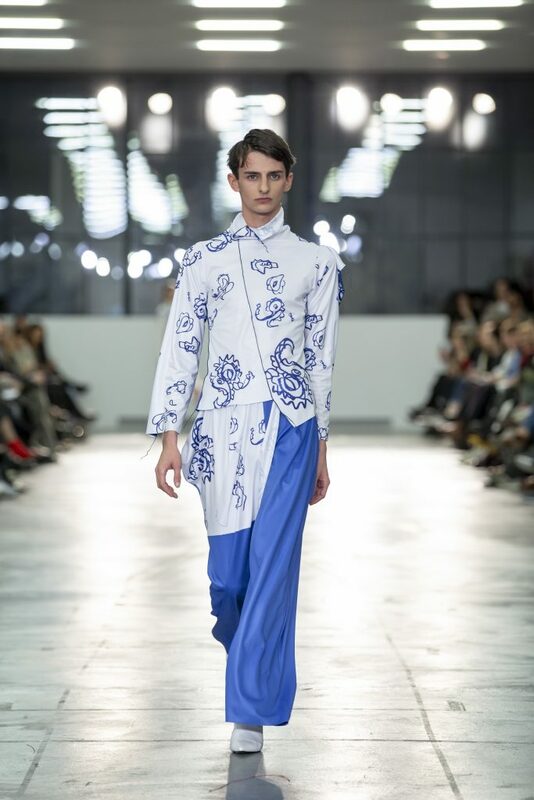 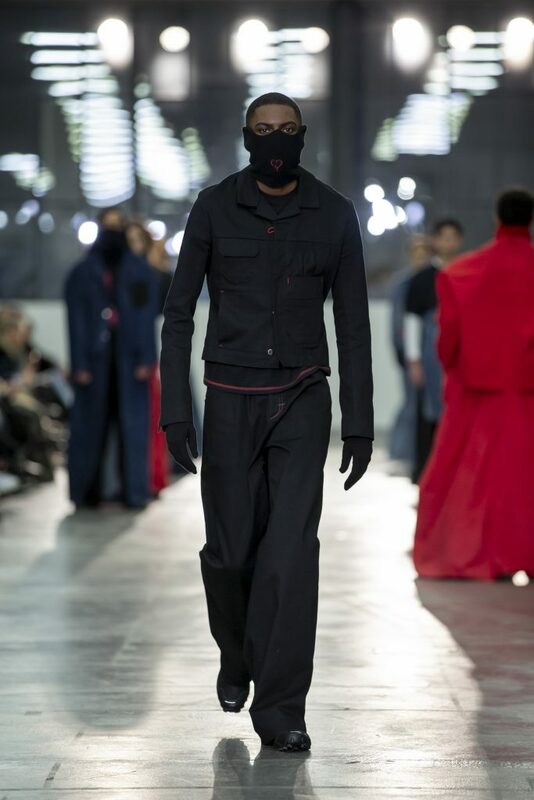 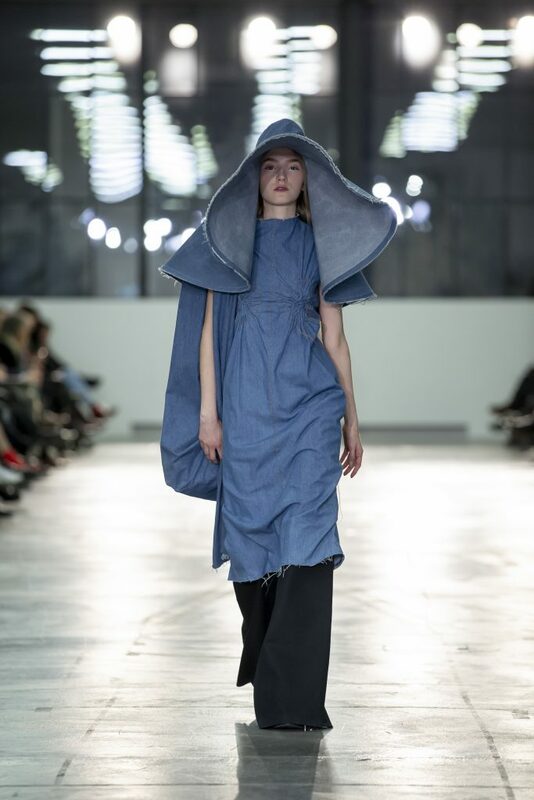 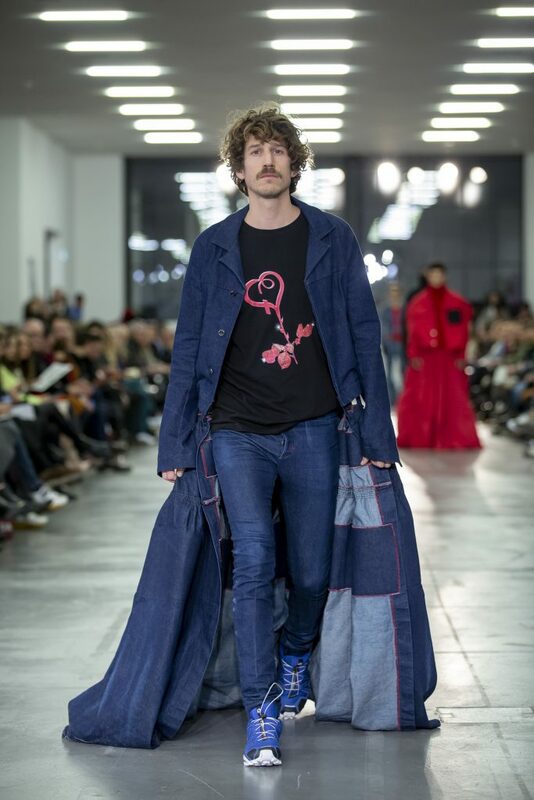 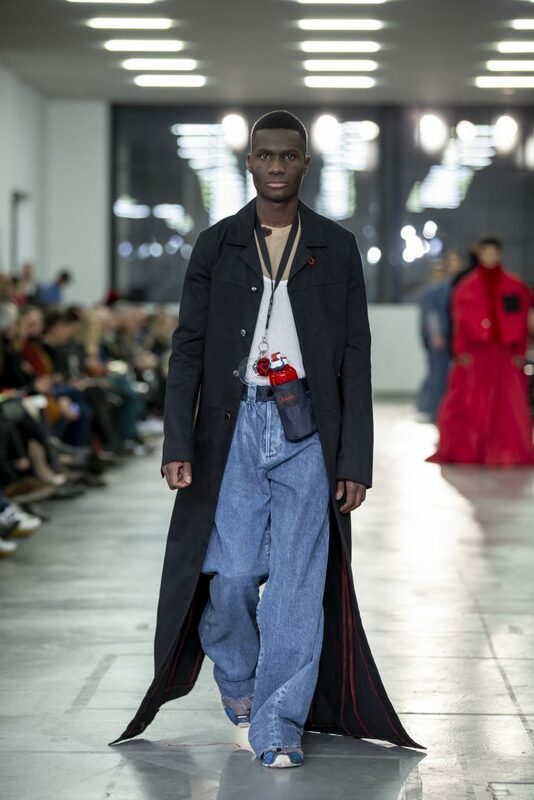 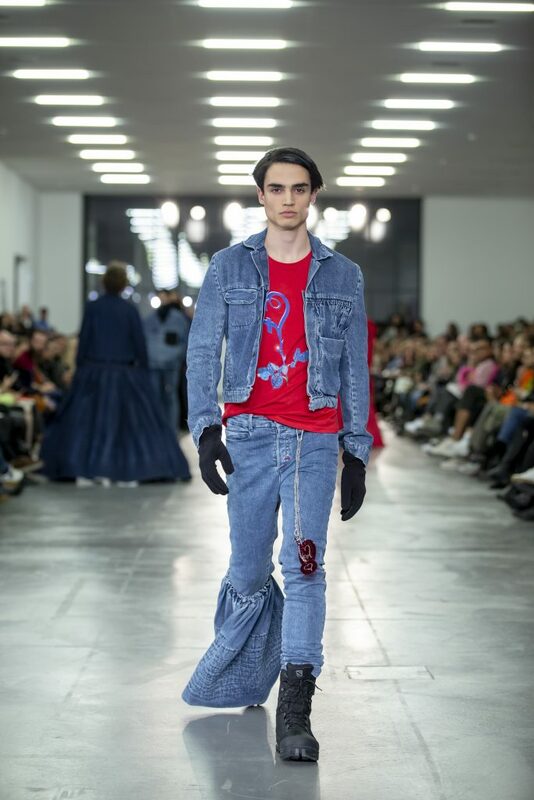 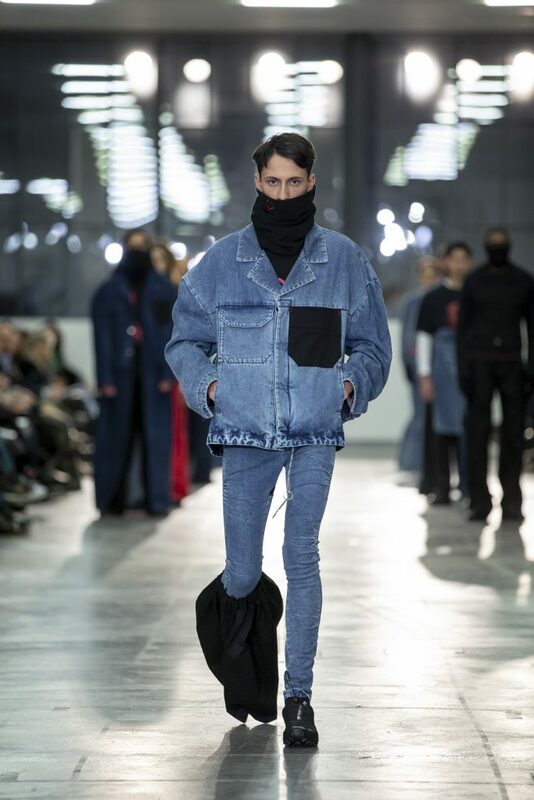 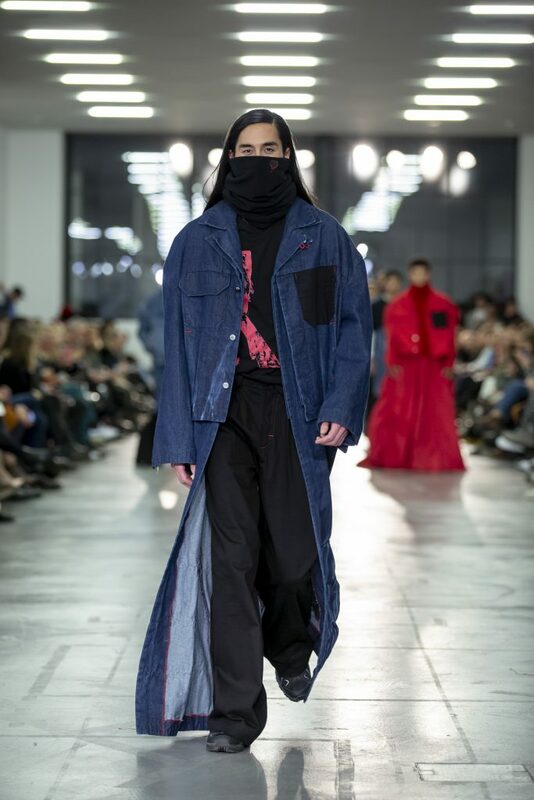 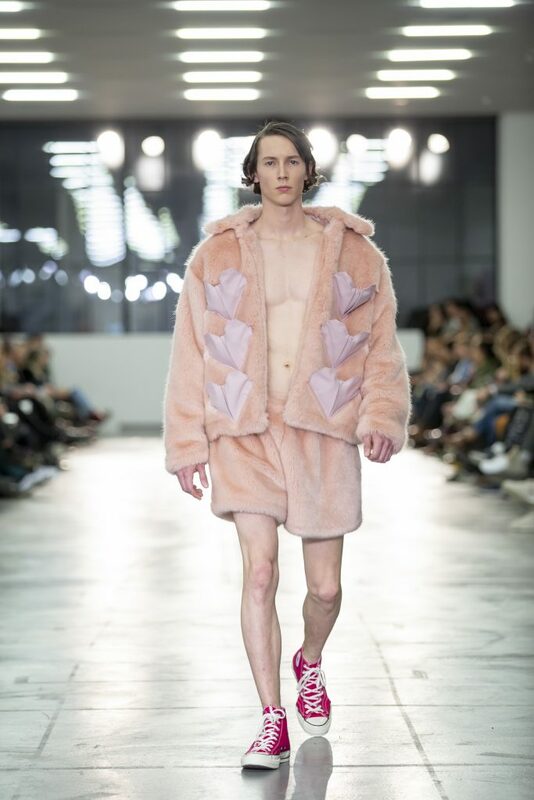 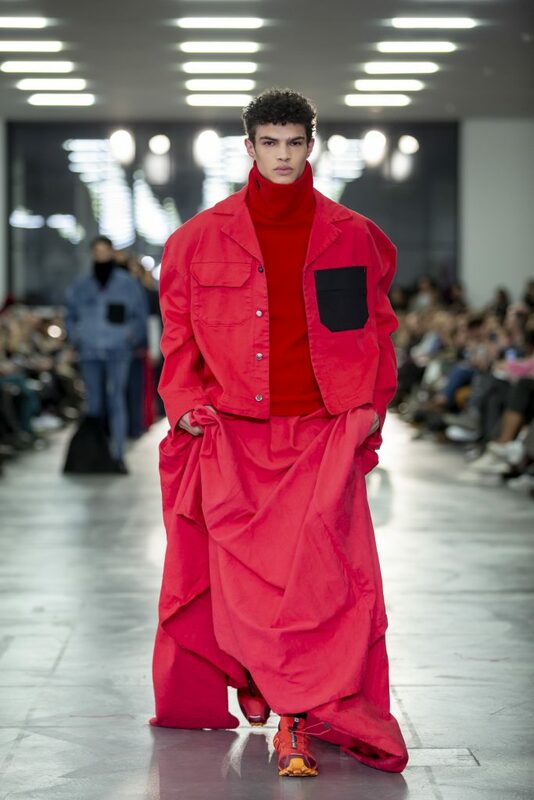 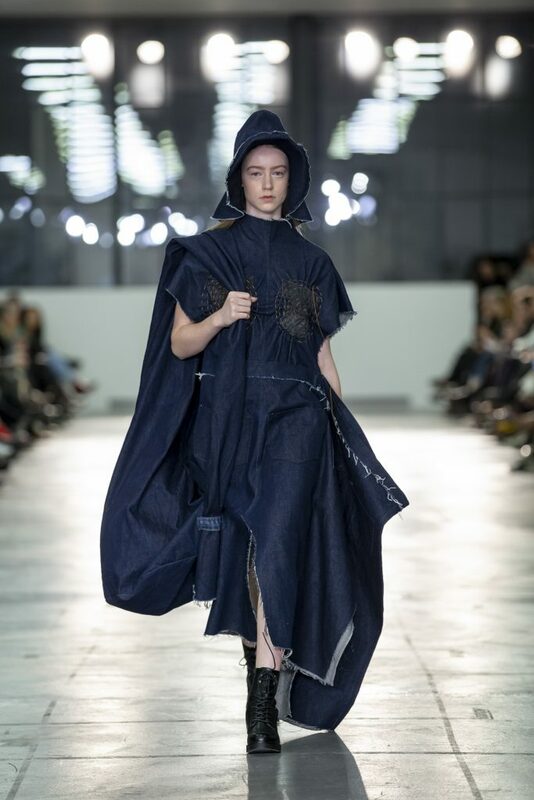 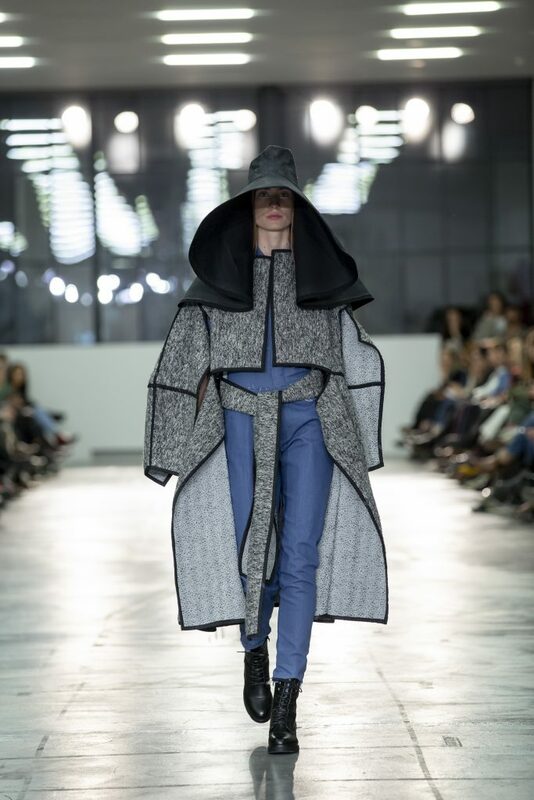 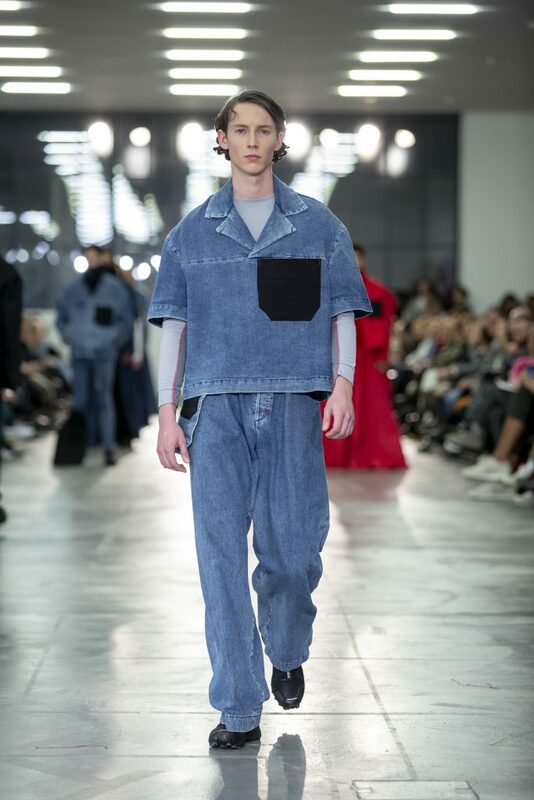 Mode Suisse newcomer, the award-winning Mikael Vilchez, boosted the schedule by showing his Forbidden Denimeries collection offering his unique questioning vision of the modern man. 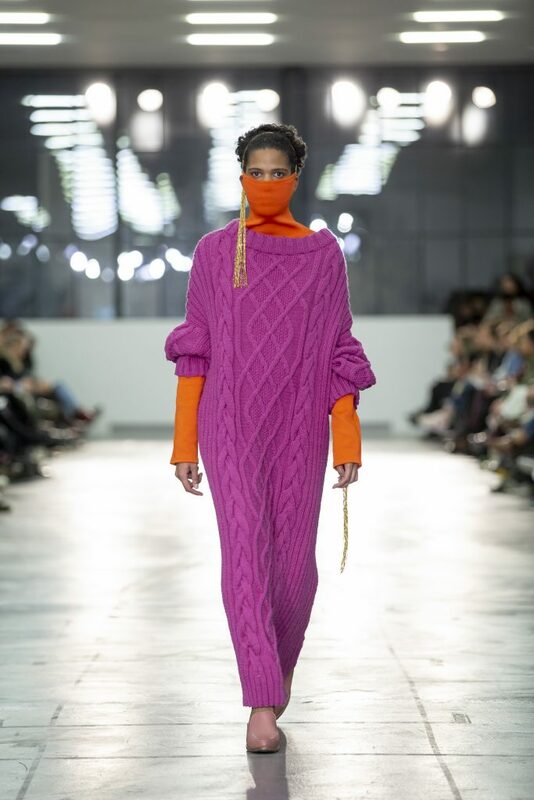 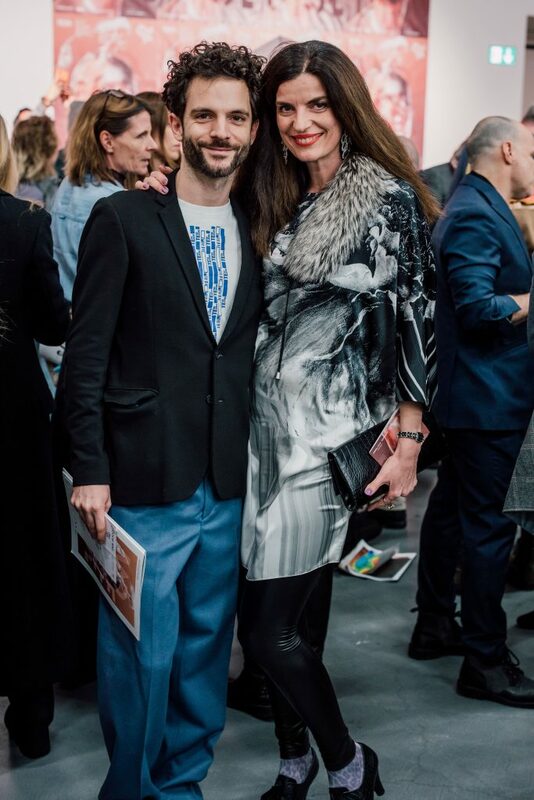 Mourjjan (Zurich, Mykonos), exhibited the luxuriously vibrant and fluid aesthetic that has attracted considerable commercial success to the label following Mode Suisse Edition 14; while Jacqueline Loekito (Basel) placed her emphasis on the liberation of the sexes and combatting heteronormative prejudices. 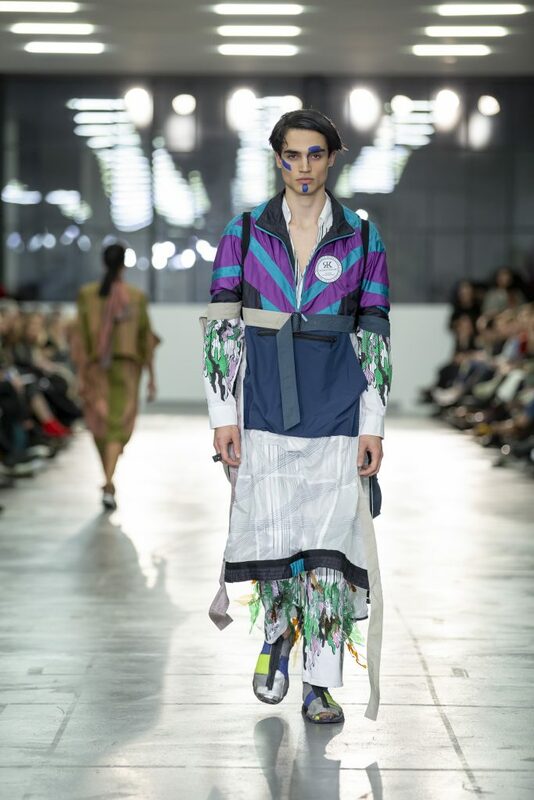 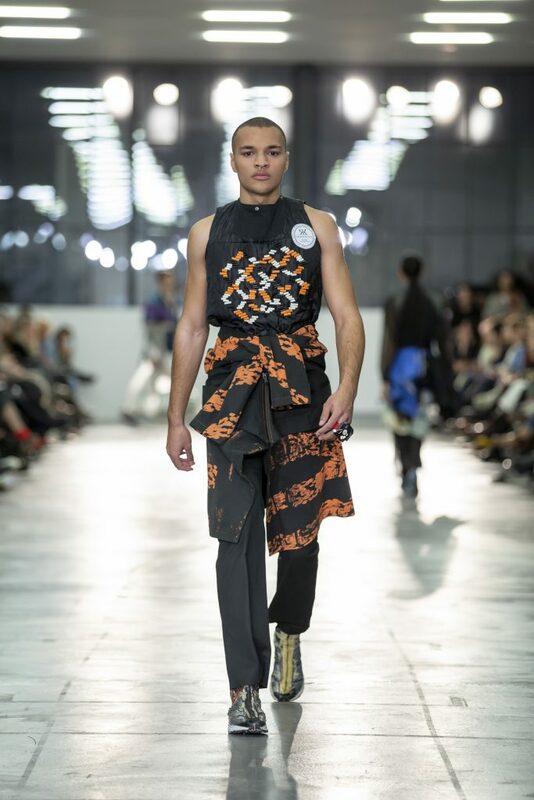 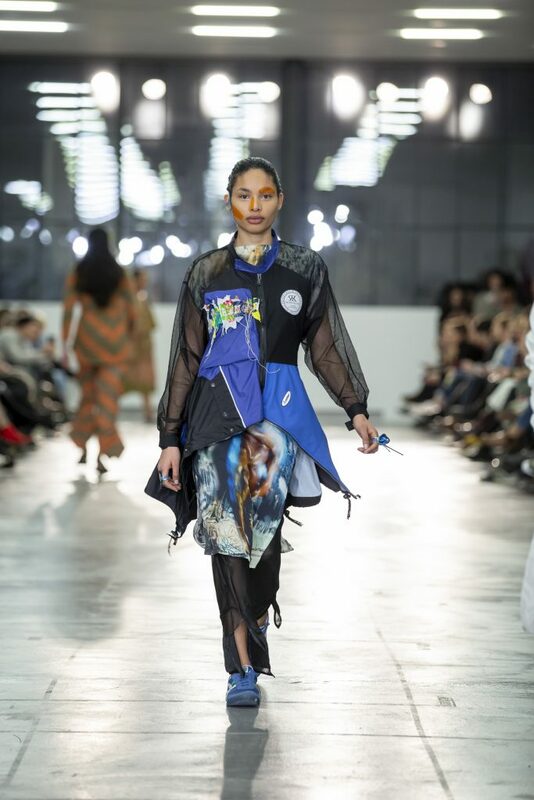 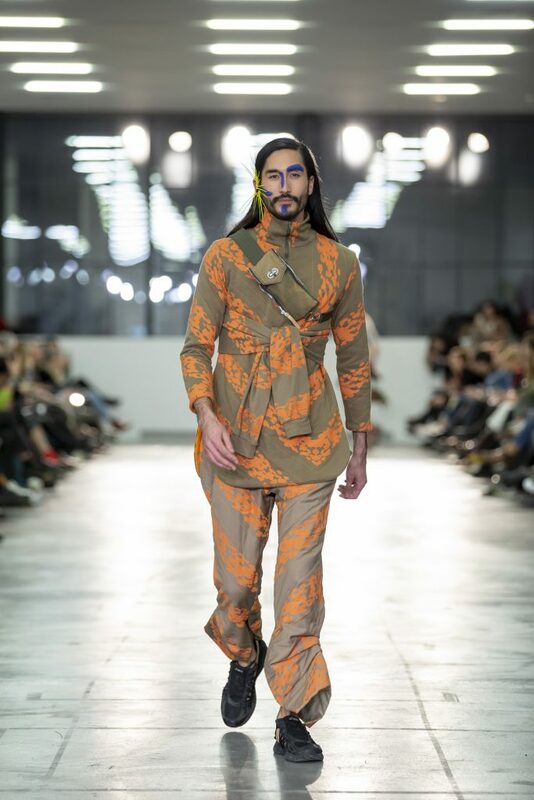 A powerful finale was guaranteed with an upcycled colour-fusion of Africa and the West by Rafael Kouto (Losone, Zurich); who recently won support from Pro Helvetiain the development and production of his collection. 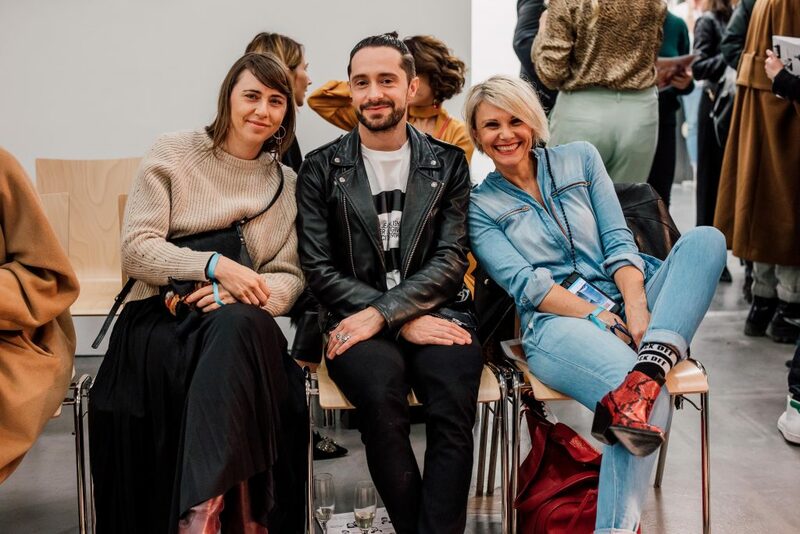 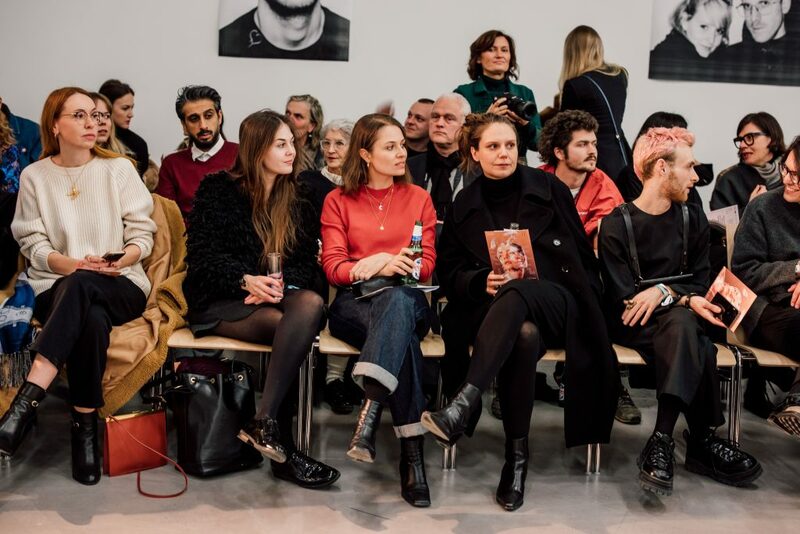 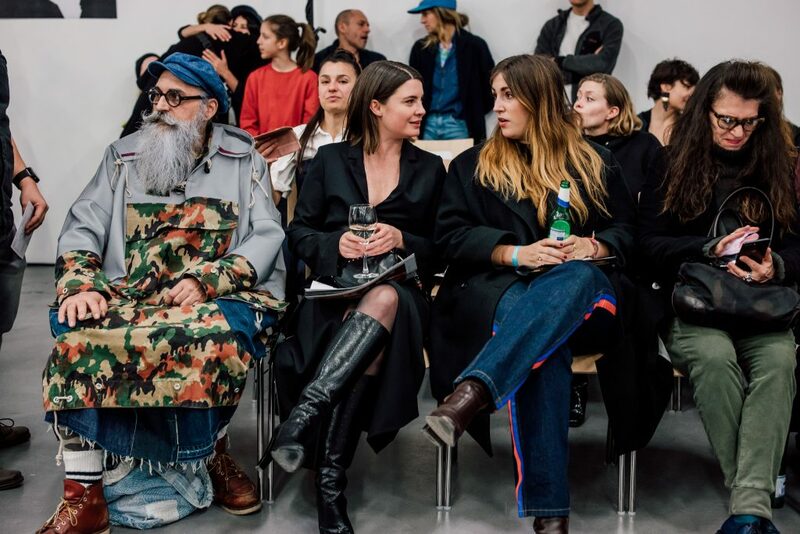 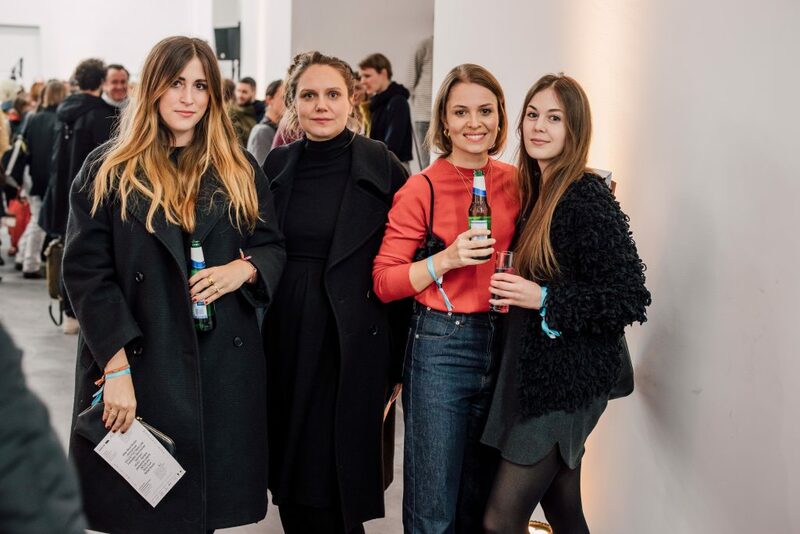 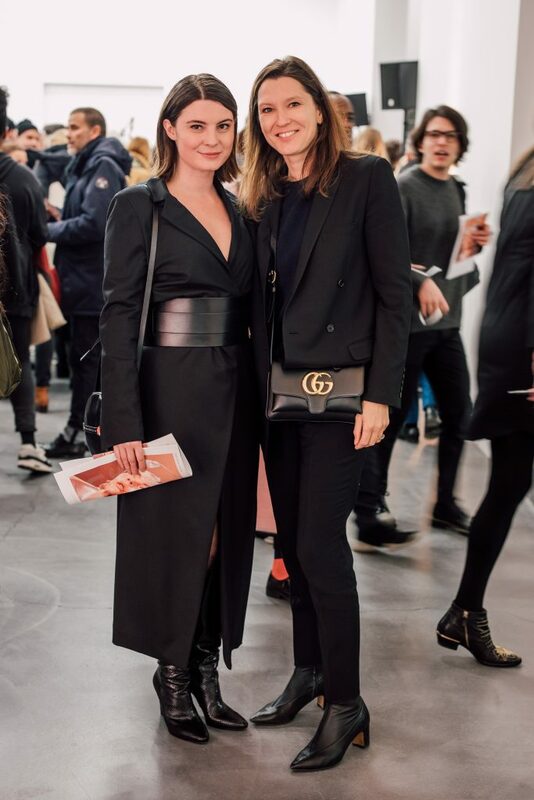 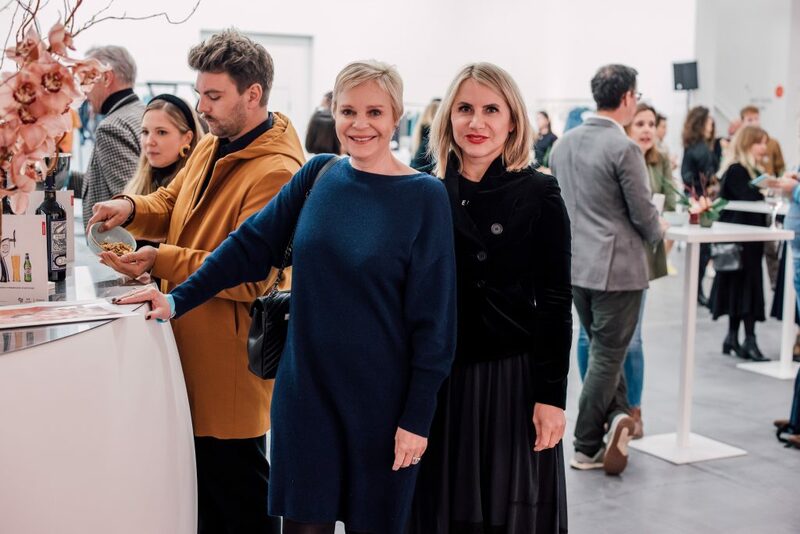 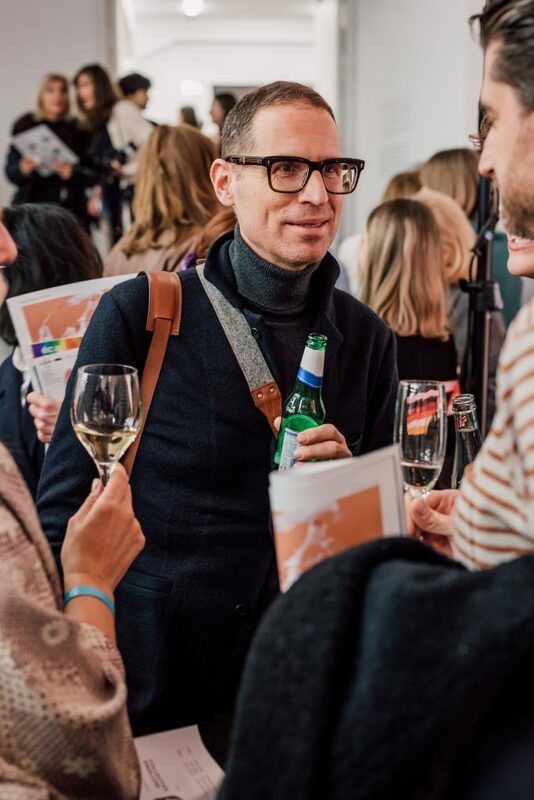 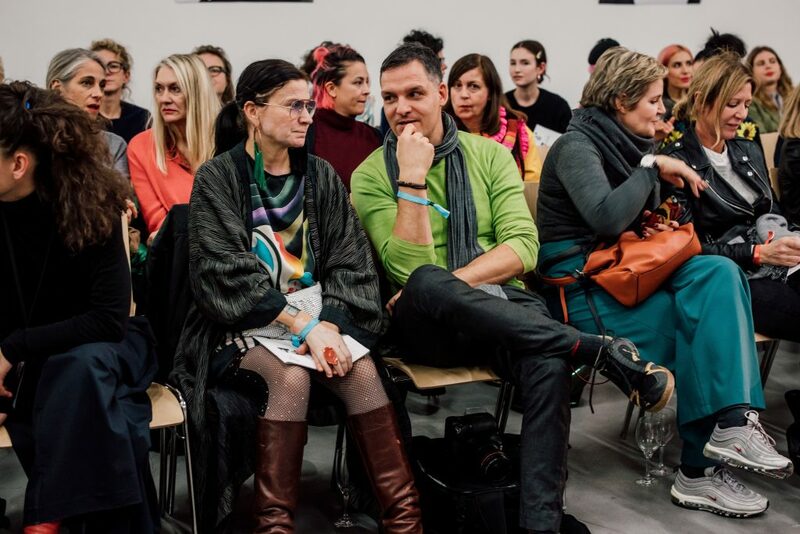 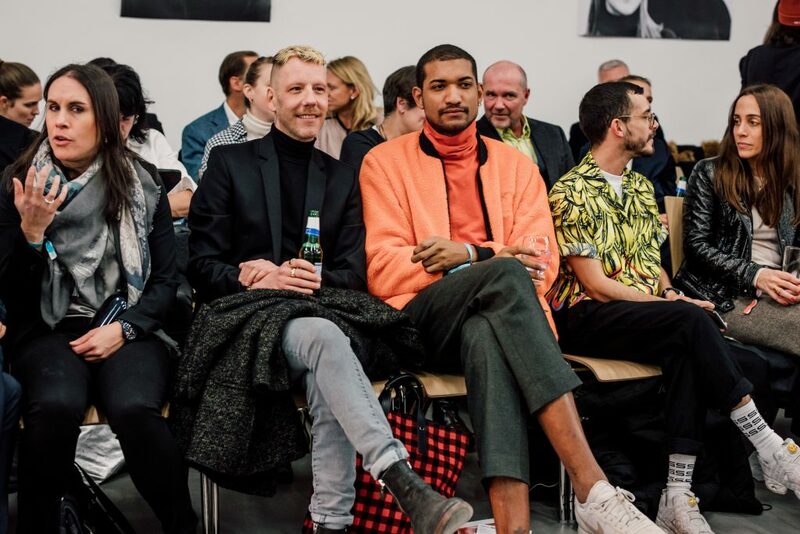 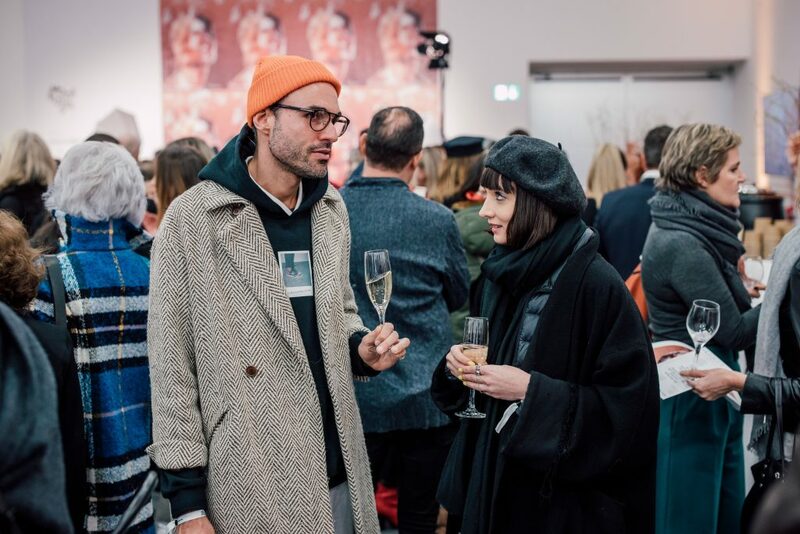 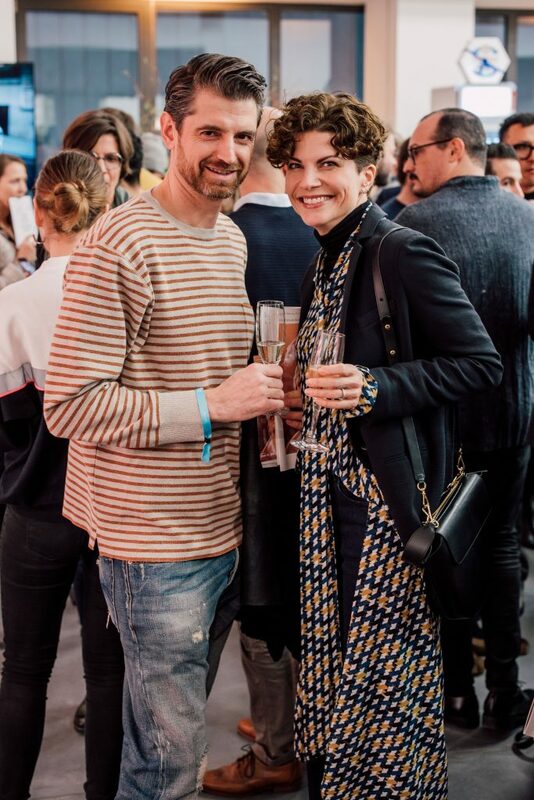 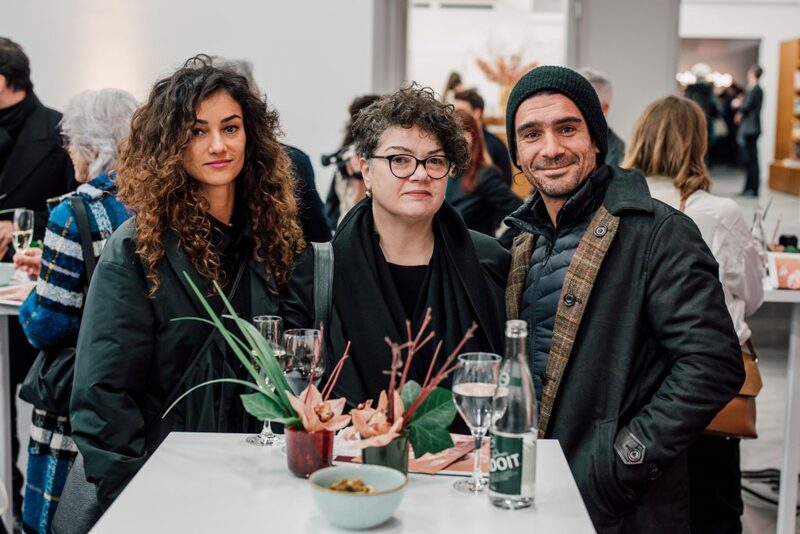 Guests in attendance included: Hedy Graber (Engagement Migros), Sabina Hanselmann-Diethelm (Style, Bolero), Katrina Ryback (STUDIO183 Berlin), the singer Anna Rossinelli, the actor Benito Bause, Claudia Desax (Opia), Jeroen van Rooijen (NZZ) and Alessandro Roccia (Italian Vogue). 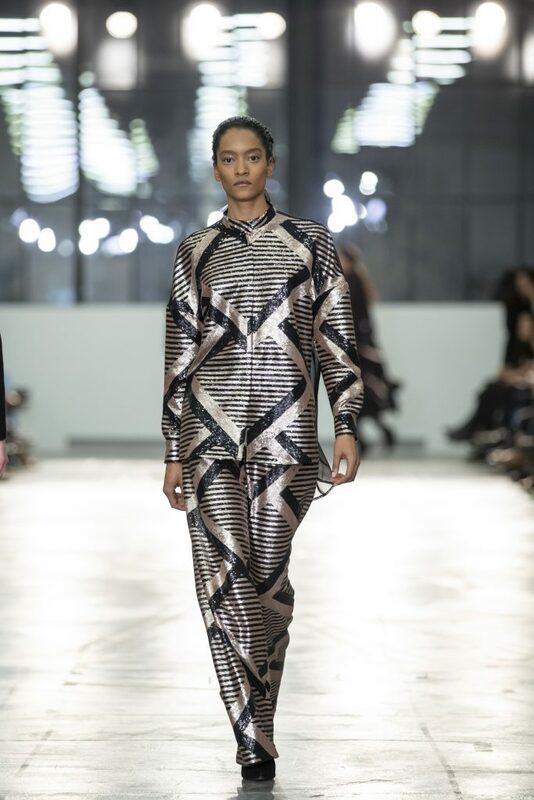 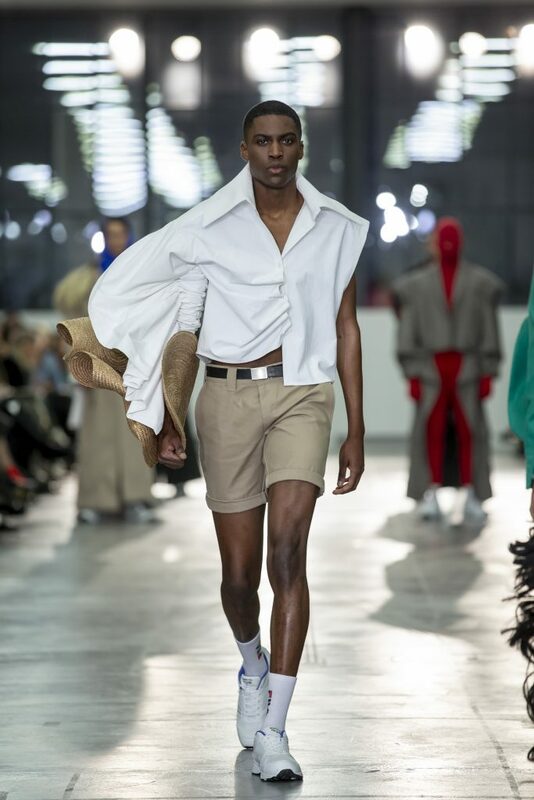 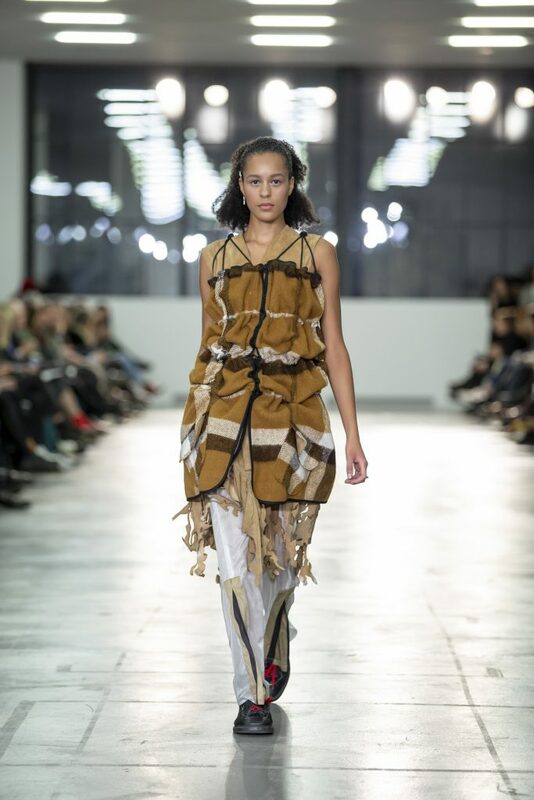 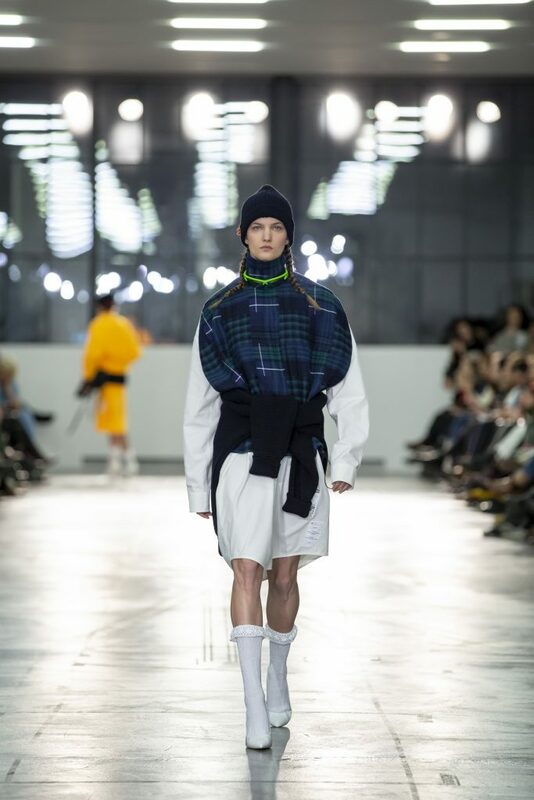 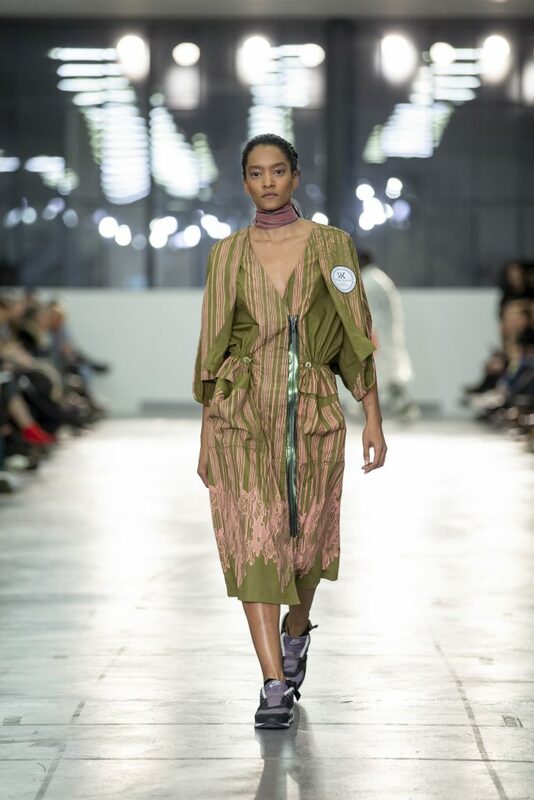 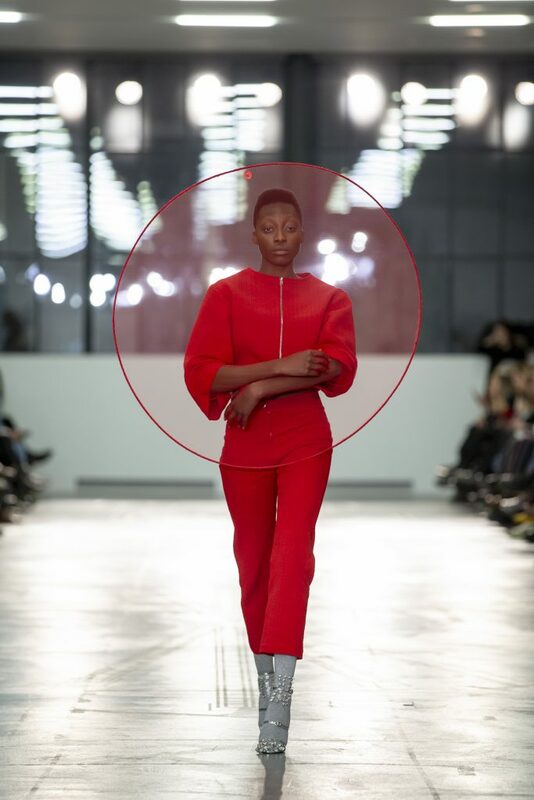 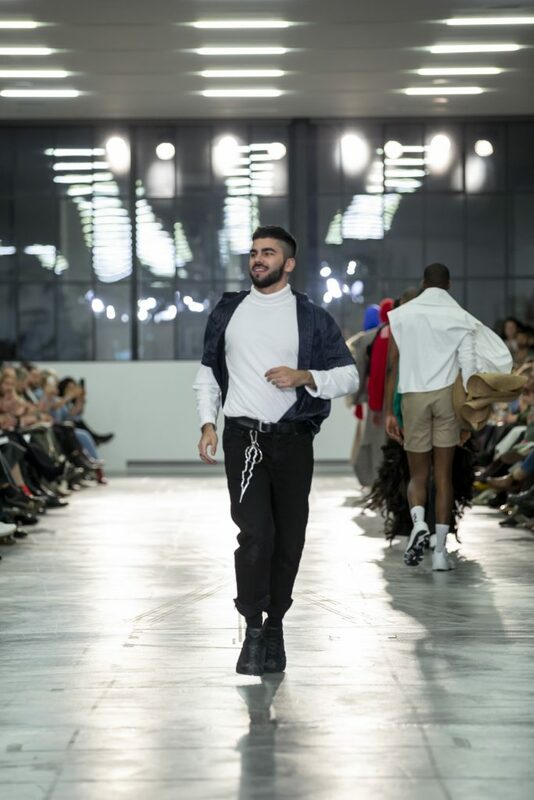 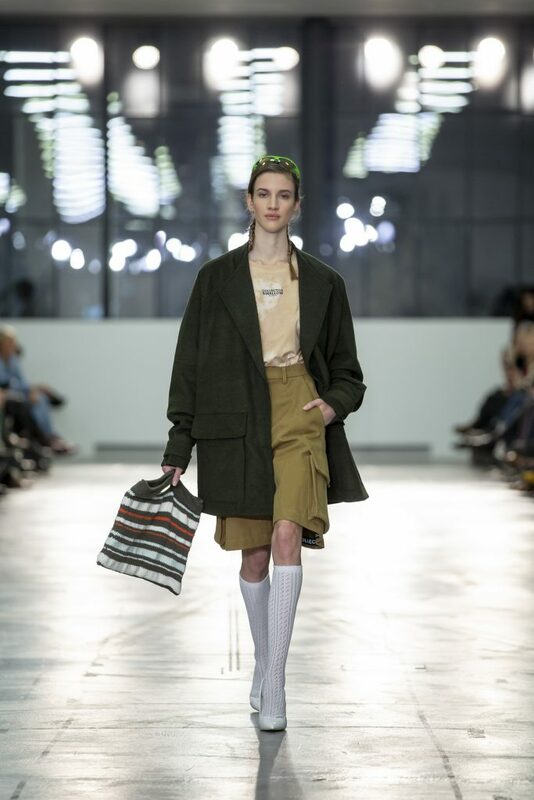 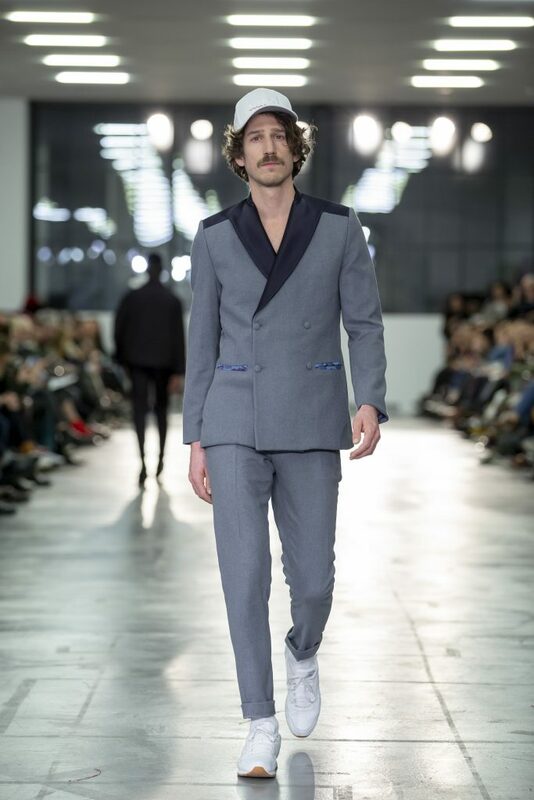 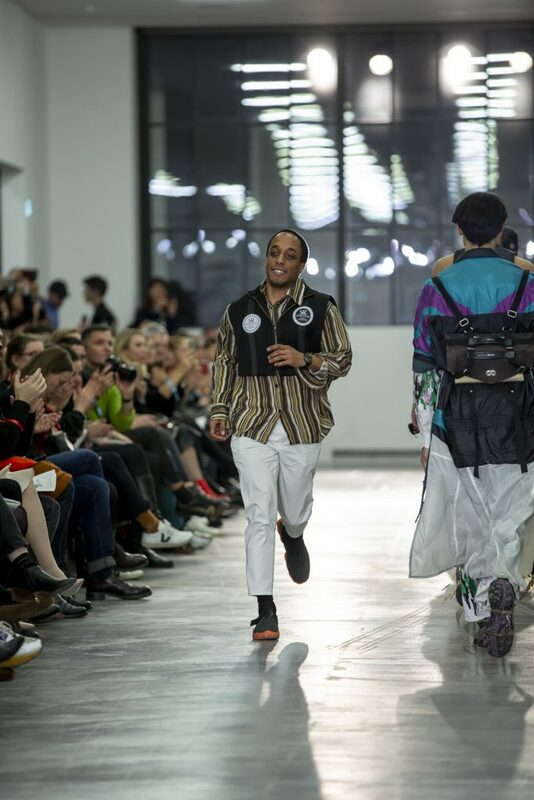 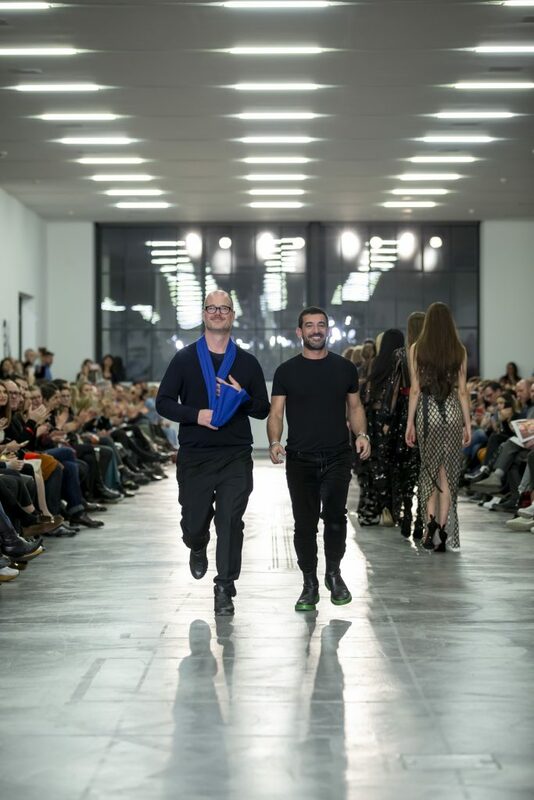 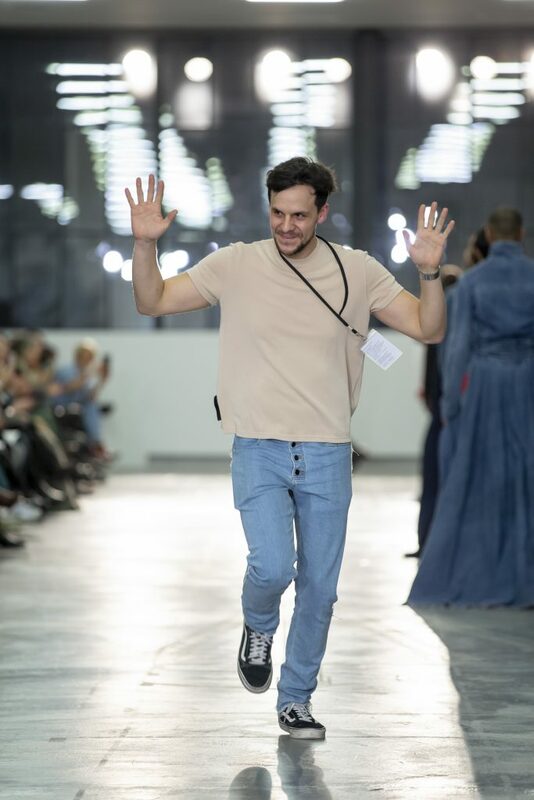 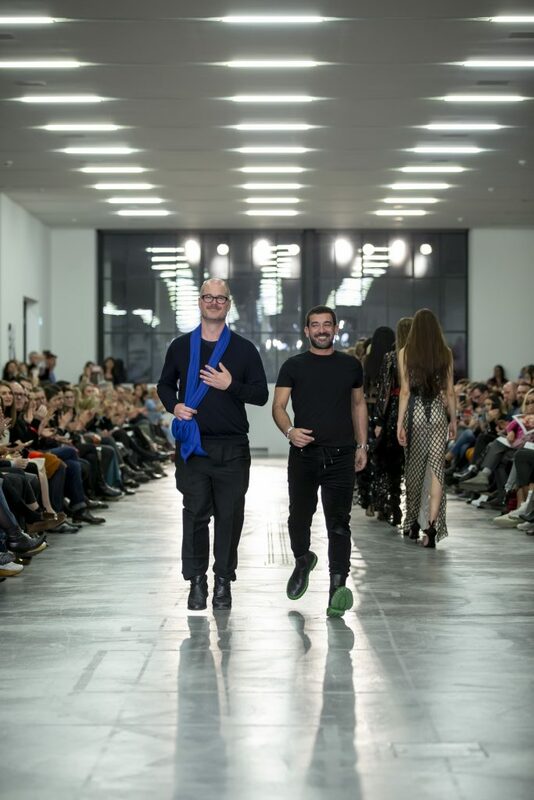 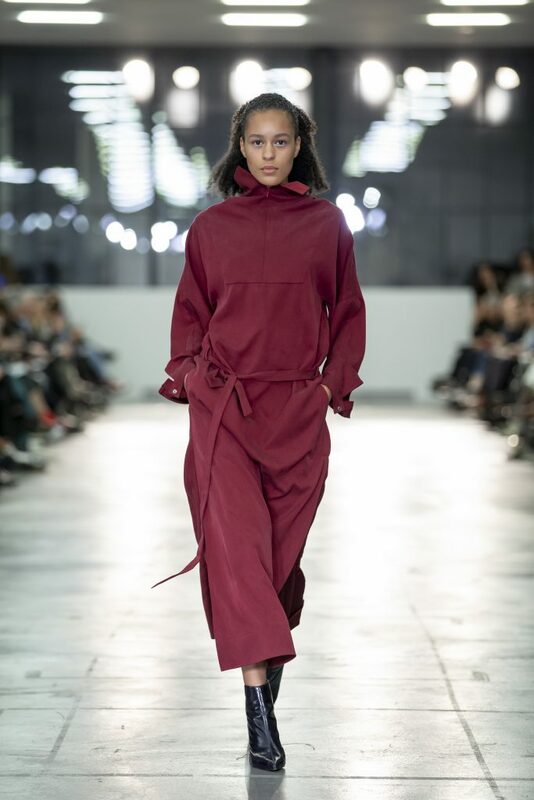 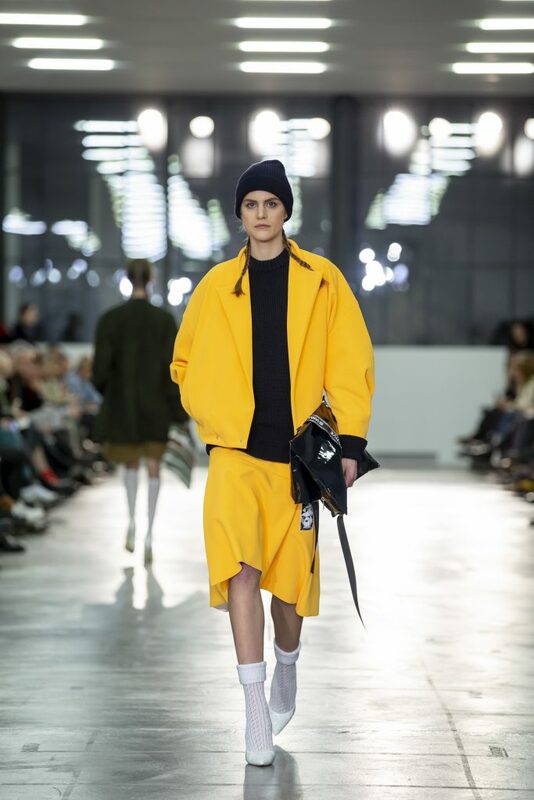 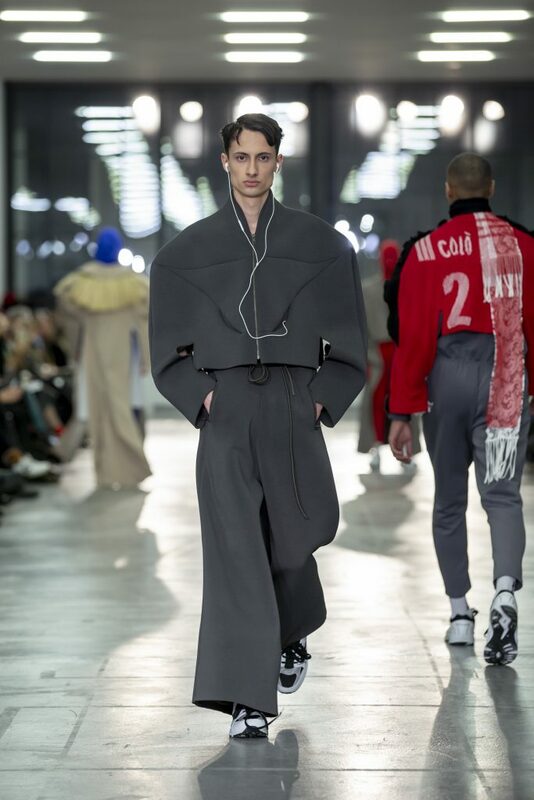 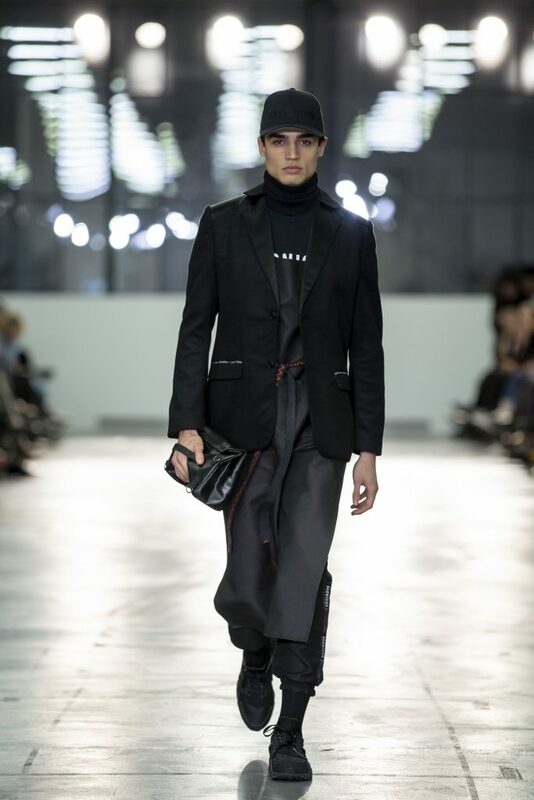 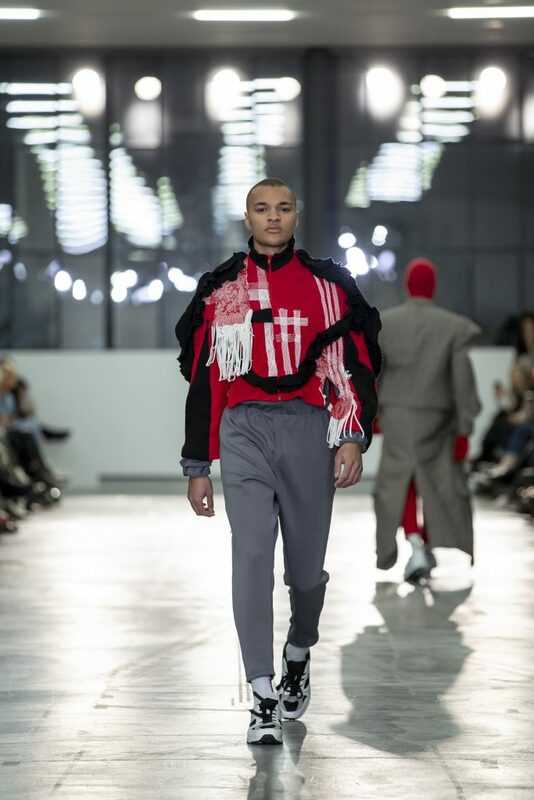 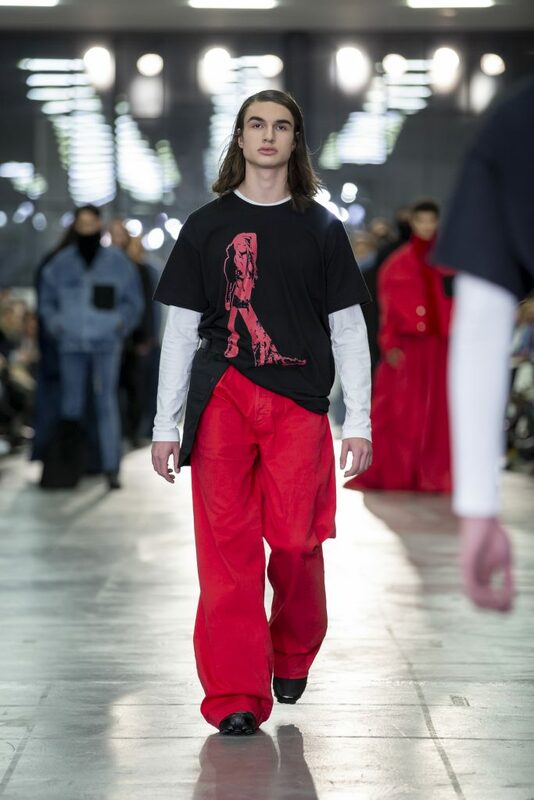 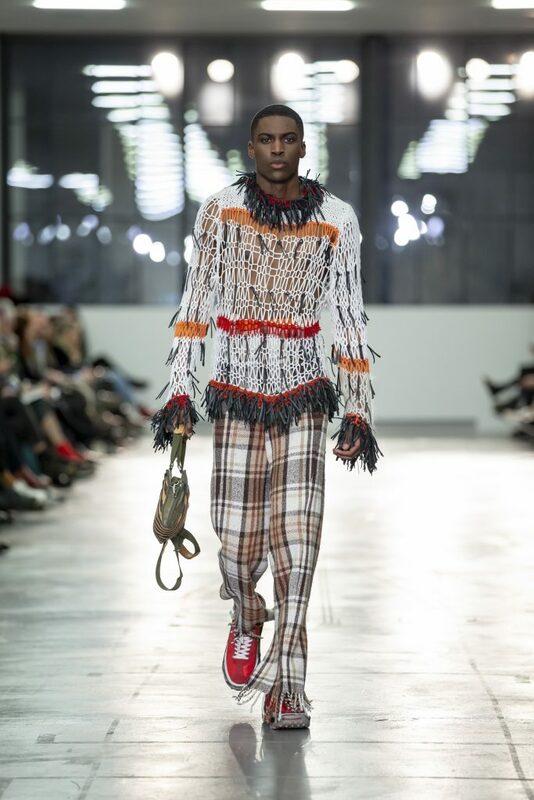 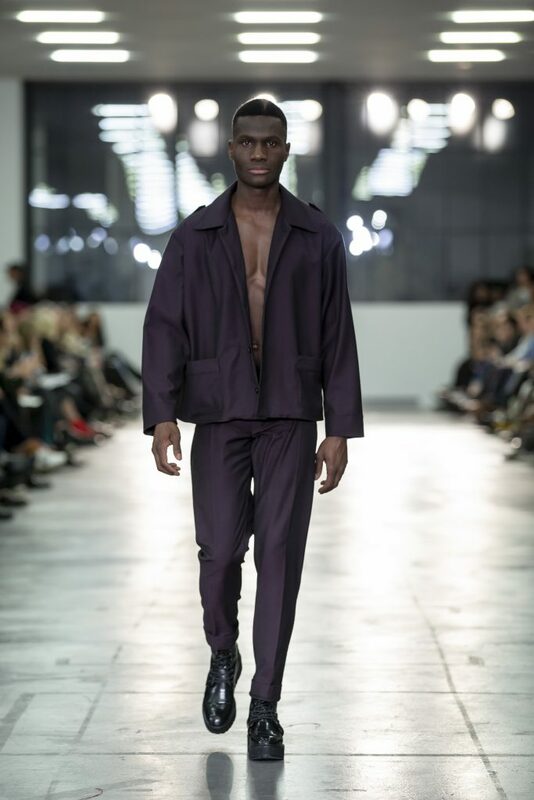 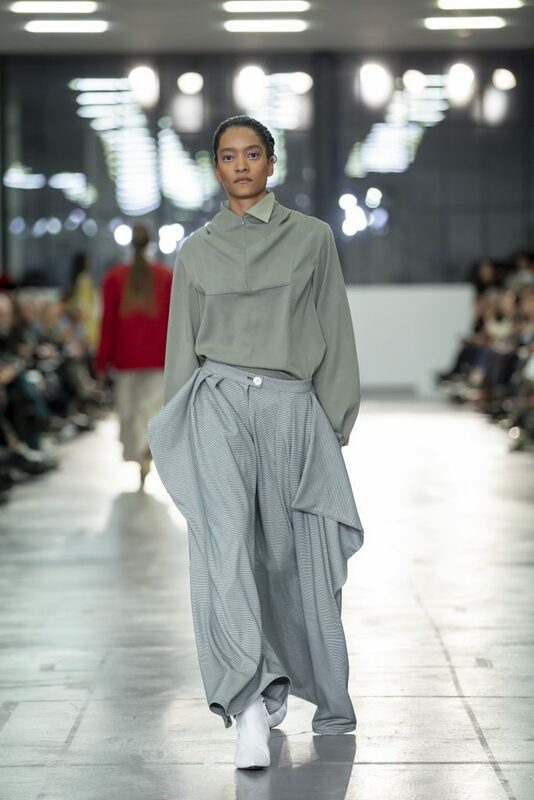 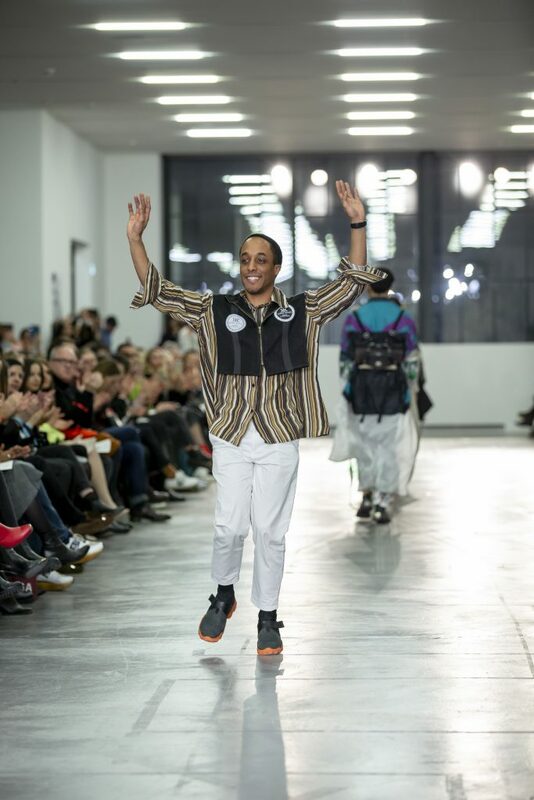 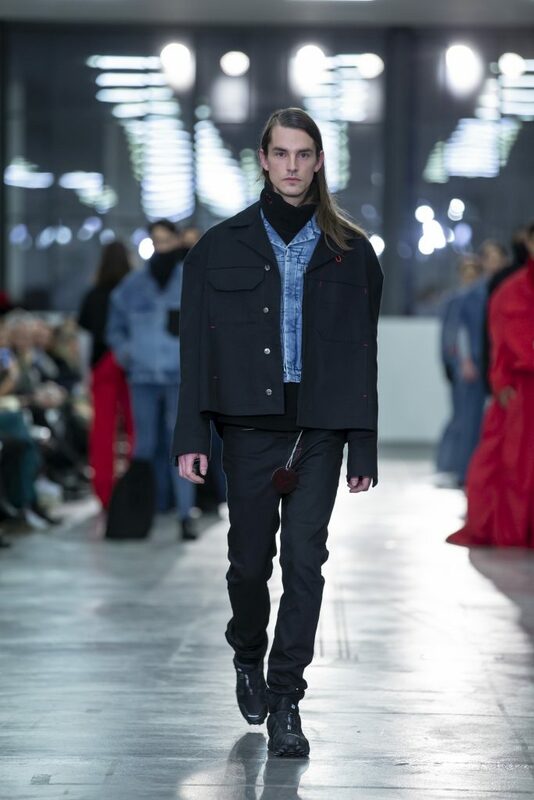 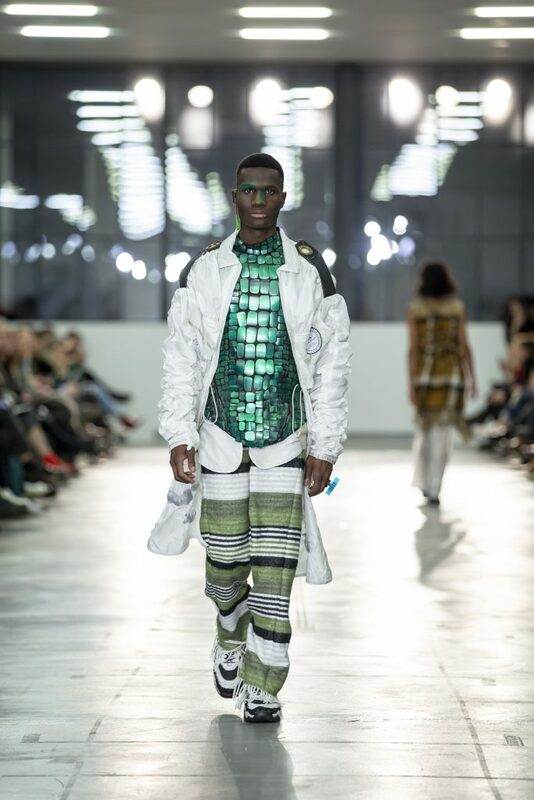 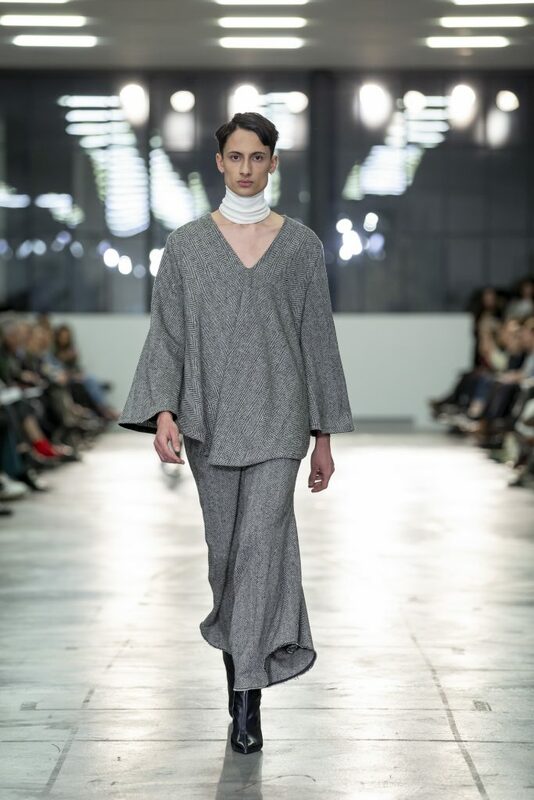 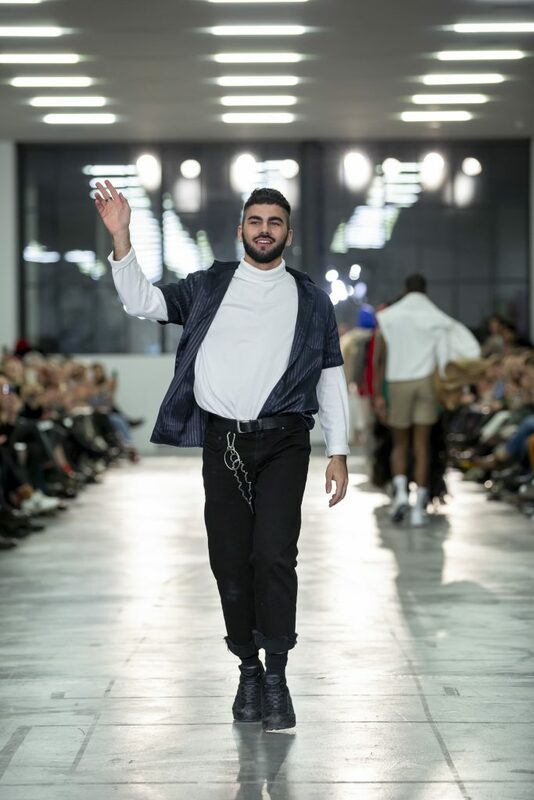 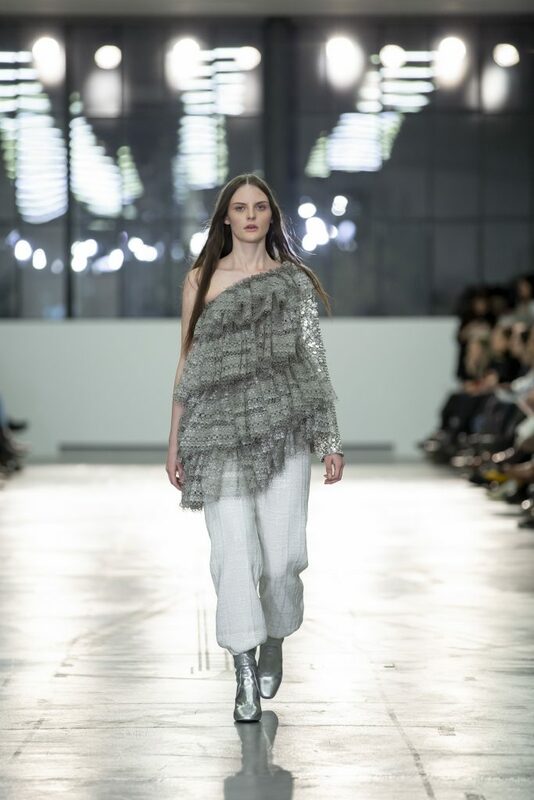 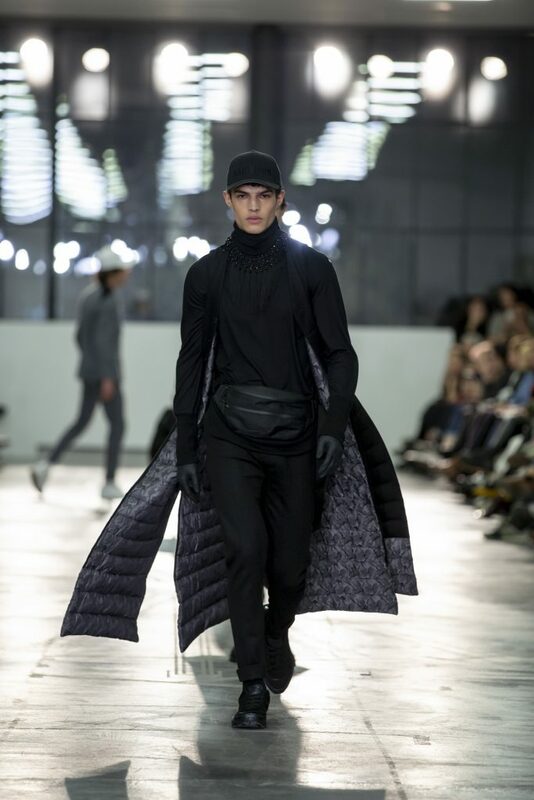 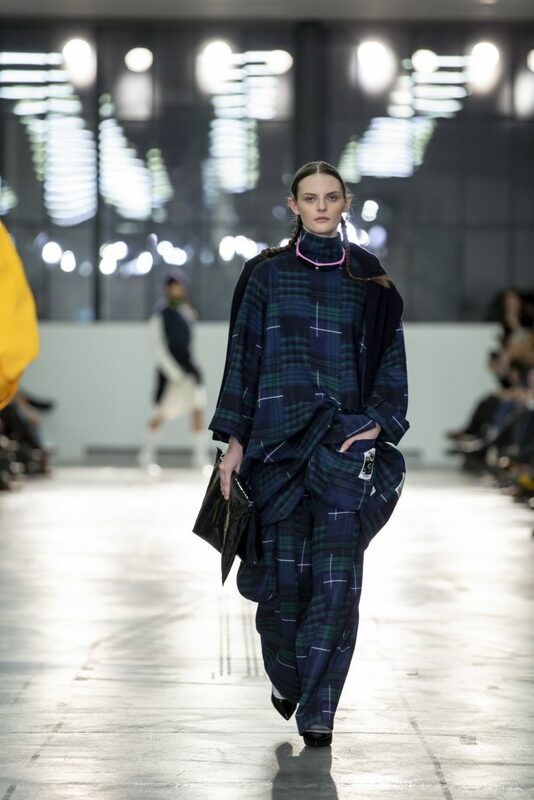 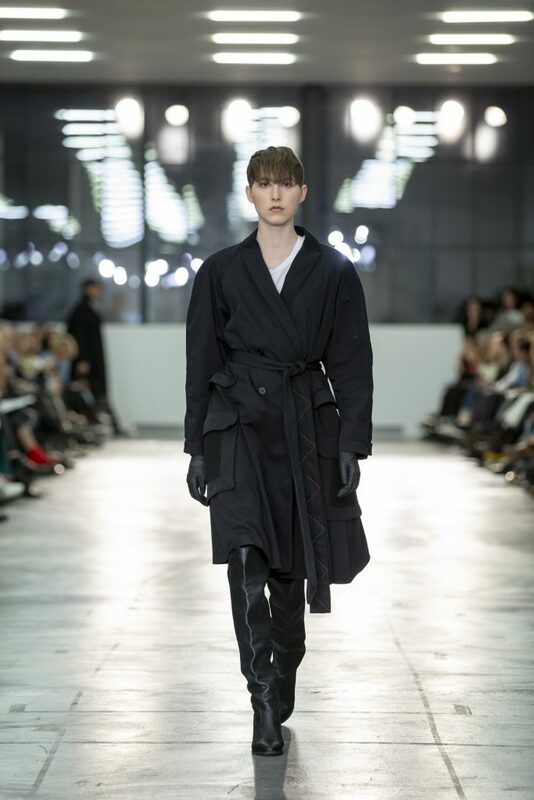 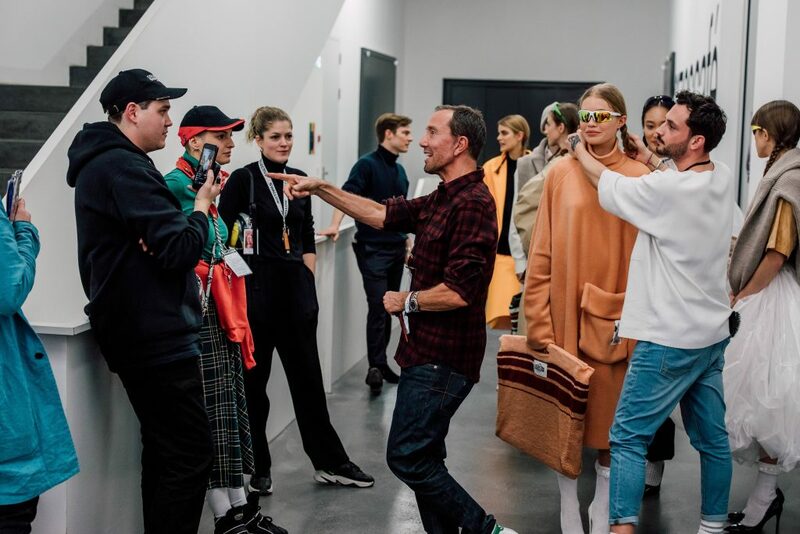 The models featuring on the Mode Suisse catwalk included: Noah Brown, Toni Dreher-Adenuga, Anthony Thornburg, Nadine Poncé and Rodrigo de Almeida Braz. 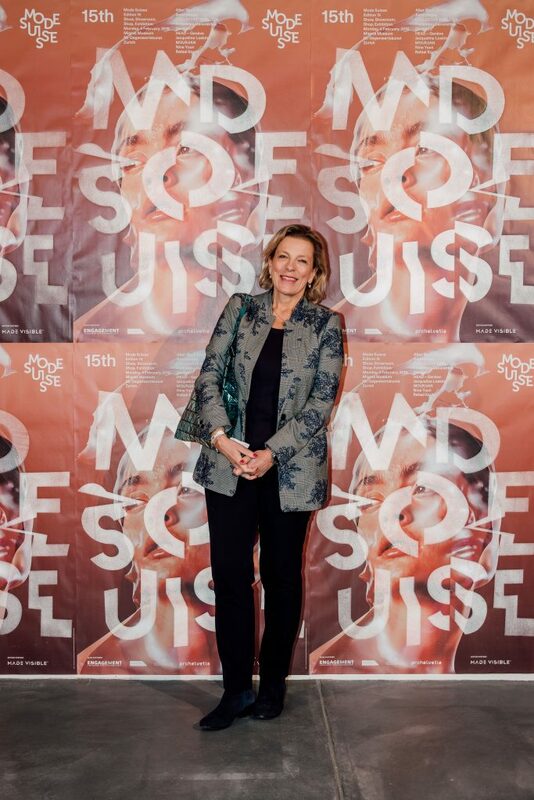 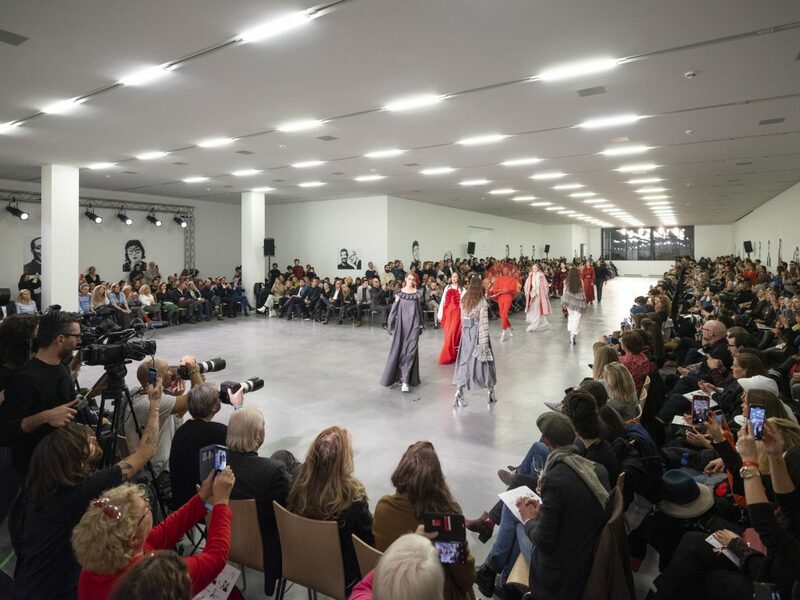 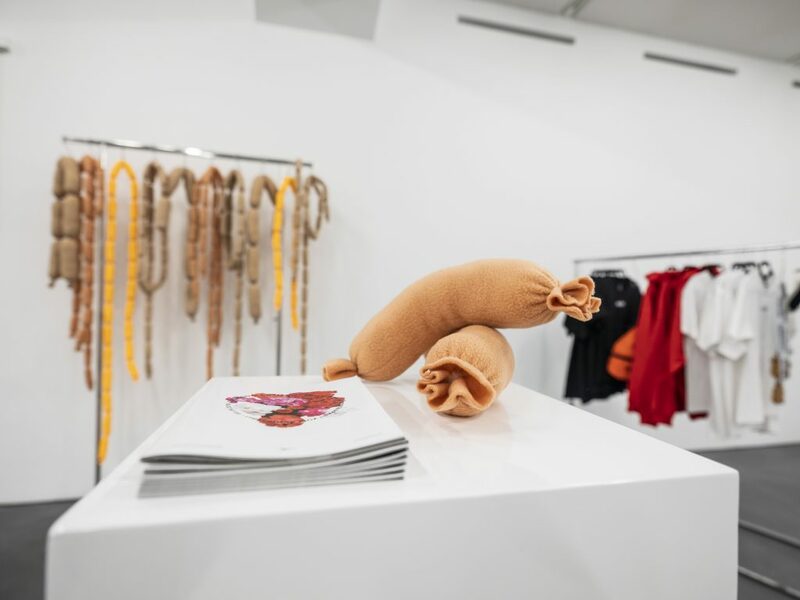 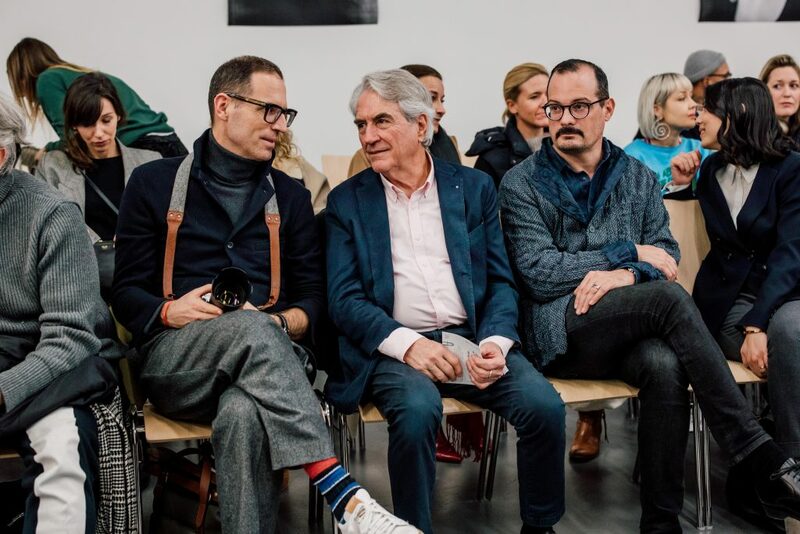 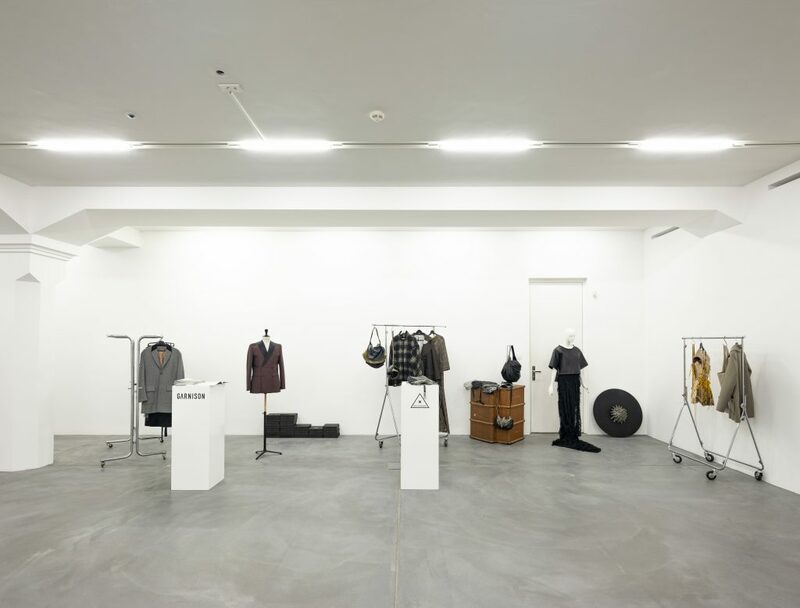 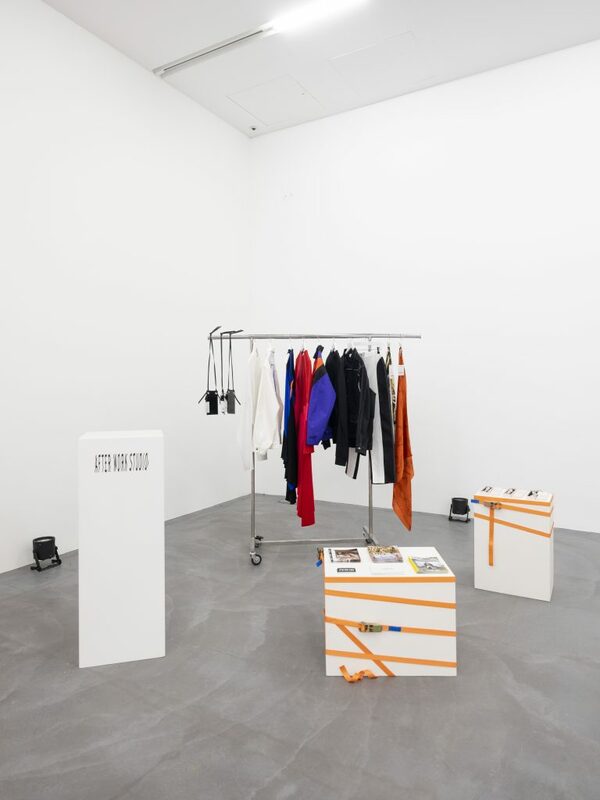 All this is only possible thanks to the support and patronage of Mode Suisse’ generous partners: Engagement Migros, The Zurich Silk Association ZSIG, The Hulda and Gustav Zumsteg Foundation and The Swiss Arts Council Pro Helvetia. 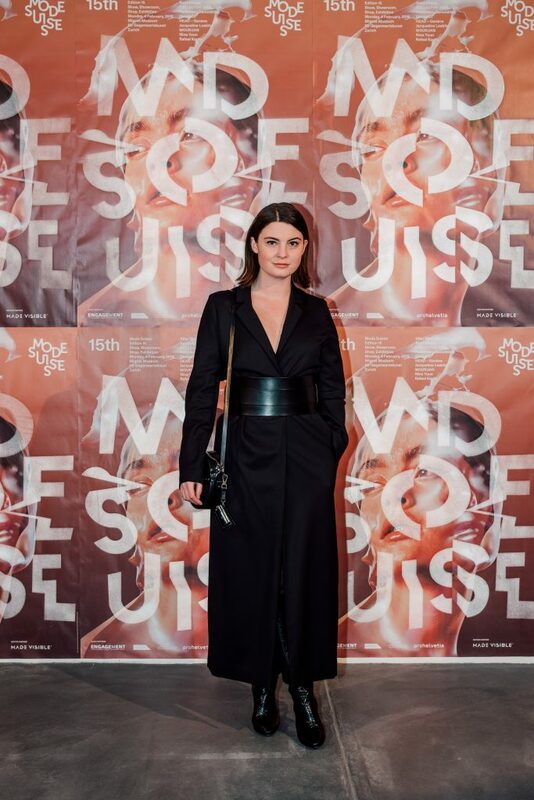 Mode Suisse would also like to thank edition partner Made Visible, car partner Mercedes-Benz Switzerland, makeup partner MAC Cosmetics, hair partner Charles Aellen Company and hotel partner Renaissance Zurich Tower Hotel. 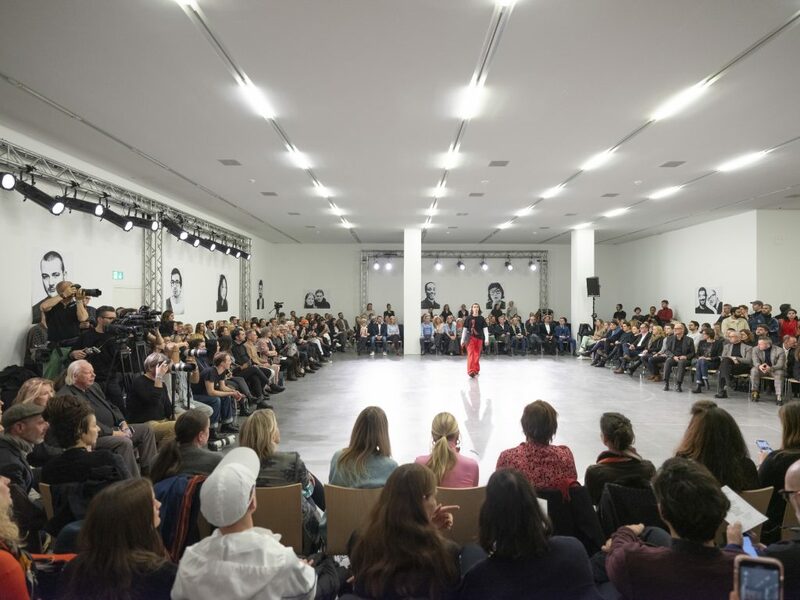 Additional partners include: Creative Zurich, 25hours Hotel Zurich West, Perroni Italy and Evian. 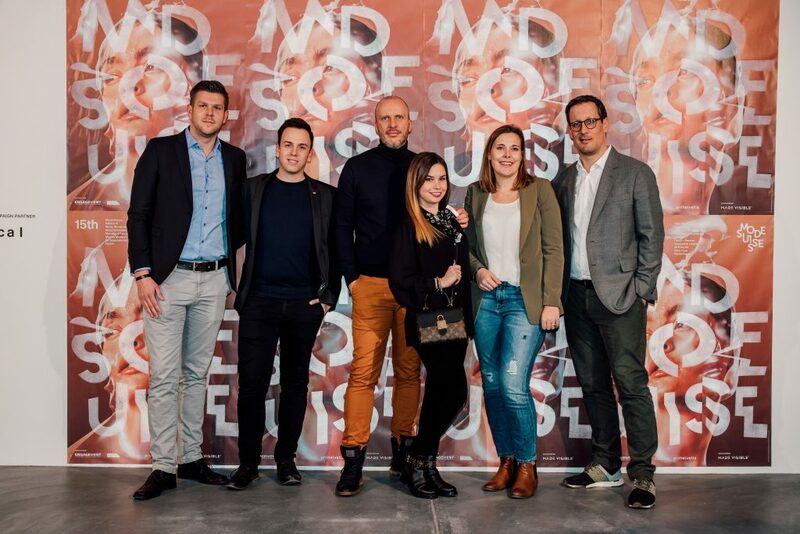 Mode Suisse is managed and produced by Yannick Aellen and his team. 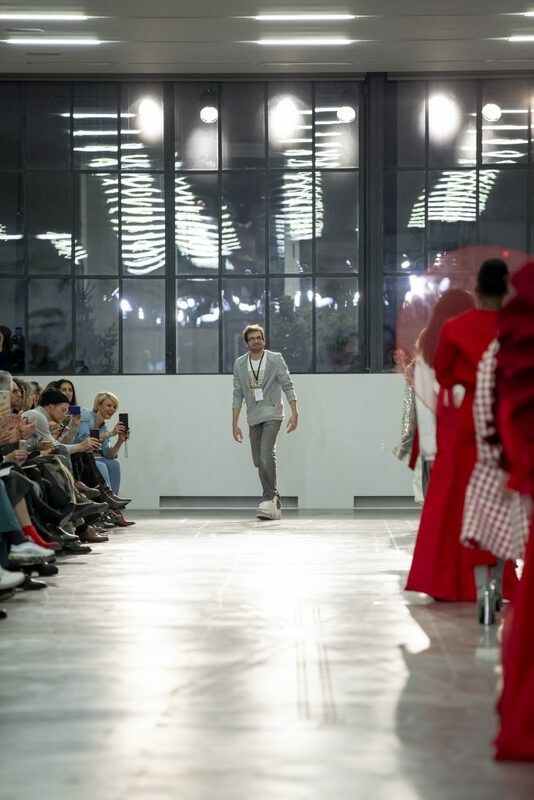 The forthcoming DACH Showroom Paris will take place on 1-5 March, 2019; Mode Suisse Edition 16 main events will take place on 2-3 September, 2019 in Zurich.